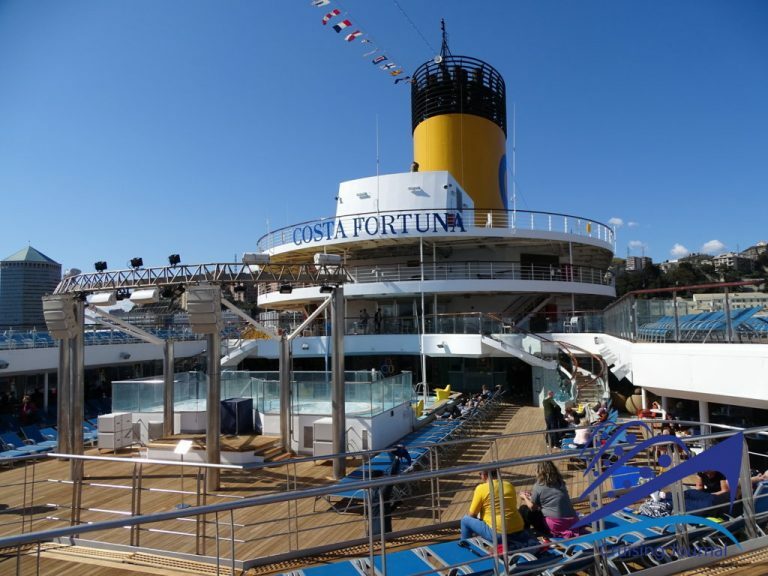 Costa Fortuna was the first Destiny class ship to be built for Costa Cruises and entered service in November 2003. 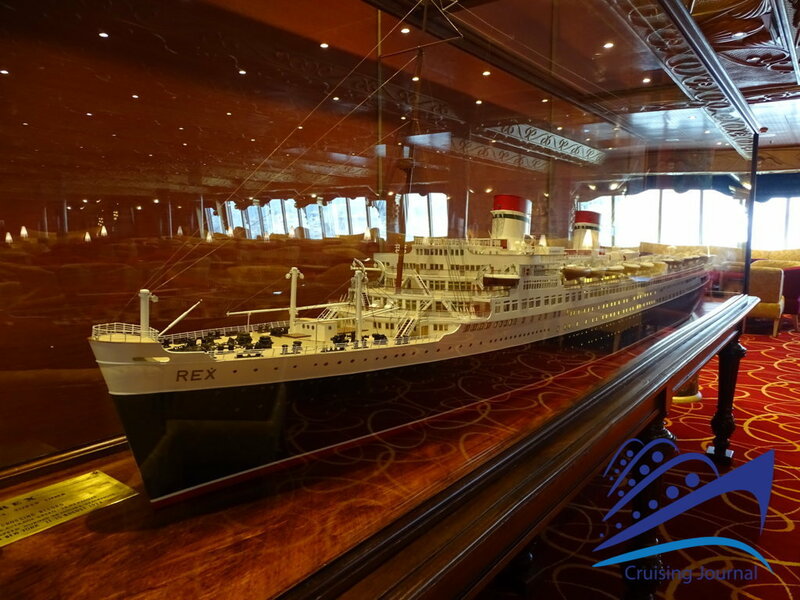 At the time, her size of more than 100,000 tons was undoubtedly part of the new category of sea giants. 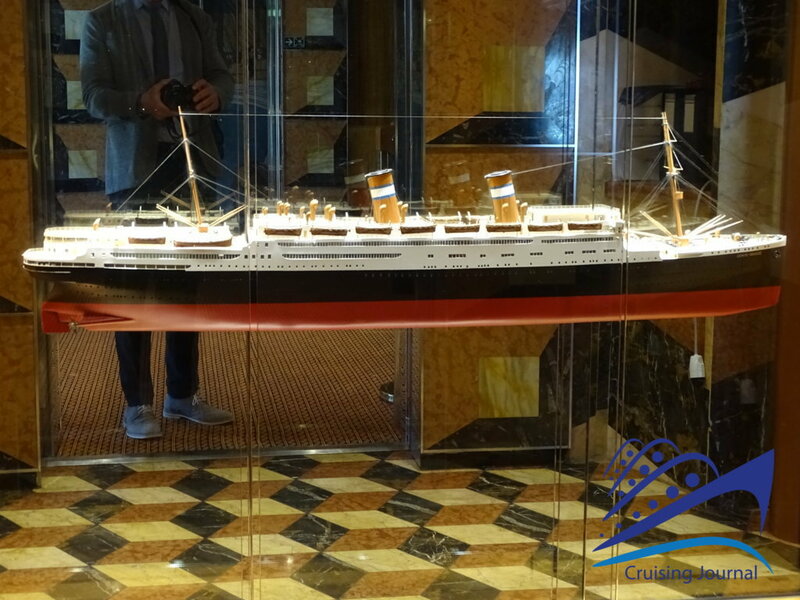 Today the size seems less impressive, but certainly this brings advantages for lovers of medium sized man-made ships. 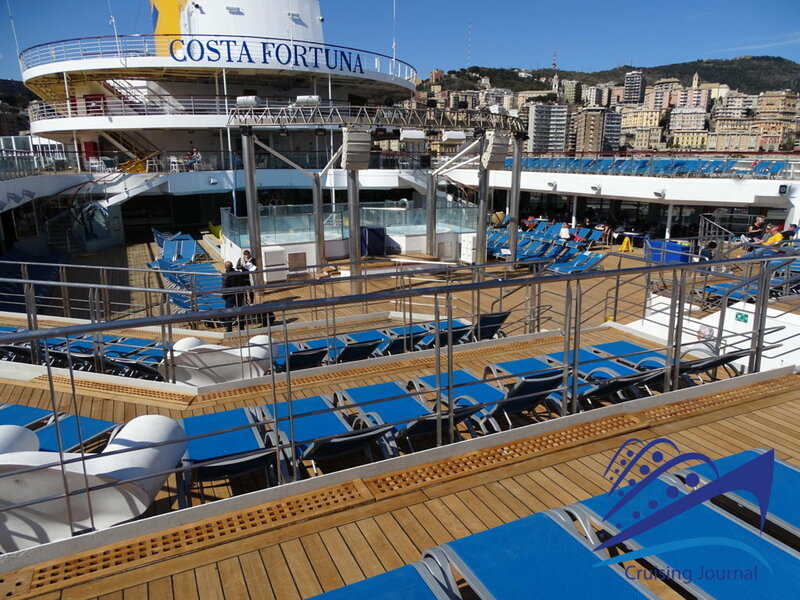 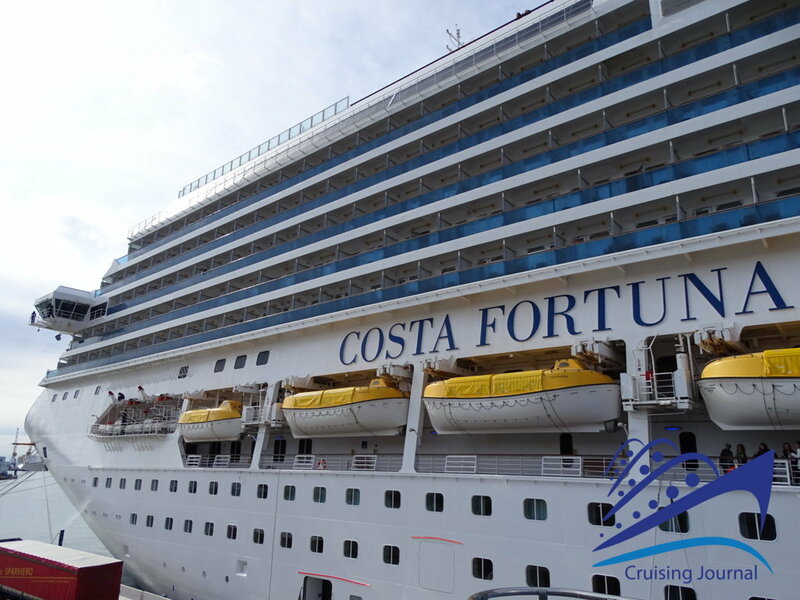 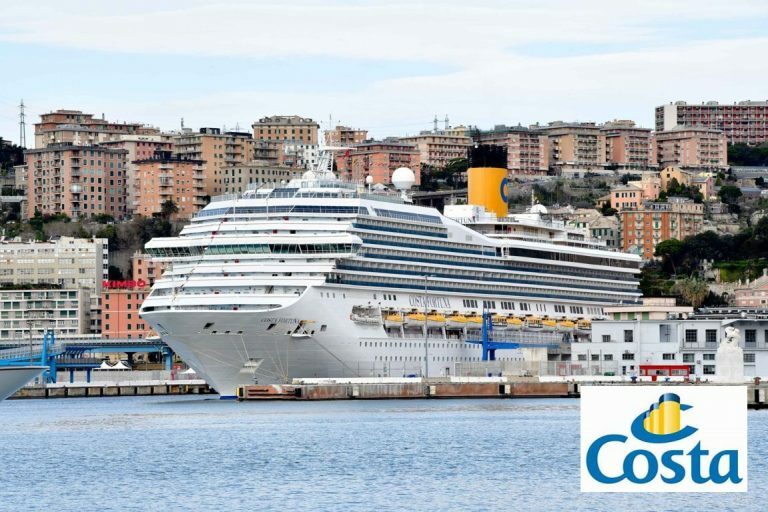 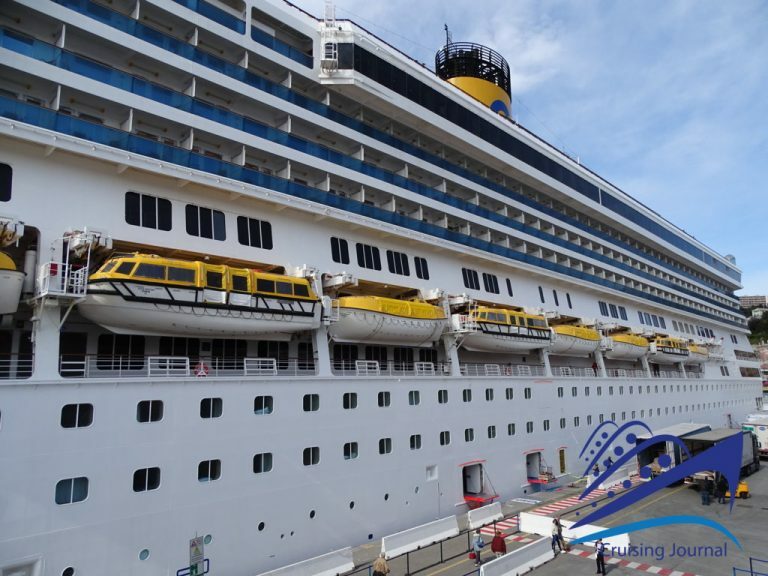 The construction of the Costa Fortuna at Fincantieri in Sestri Ponente marked the beginning of a new season dedicated to the shipyard’s cruise ships, renowned for having built some of the most famous Italian liners in the past. 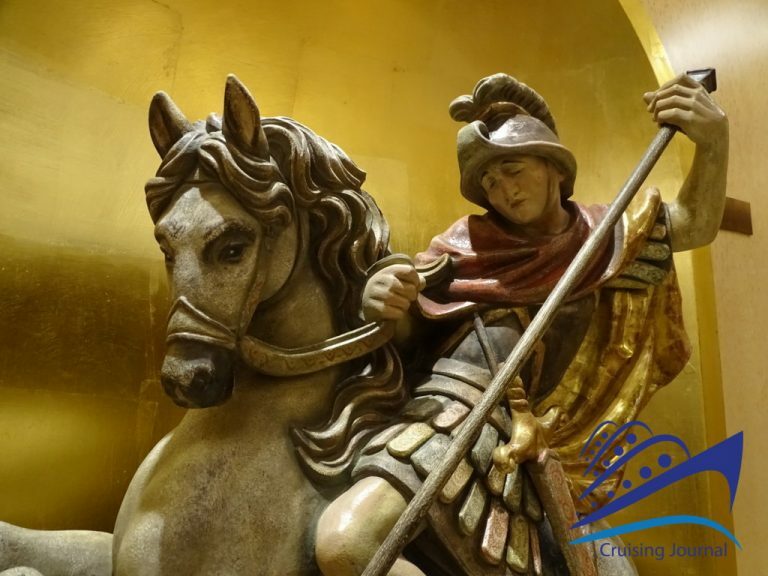 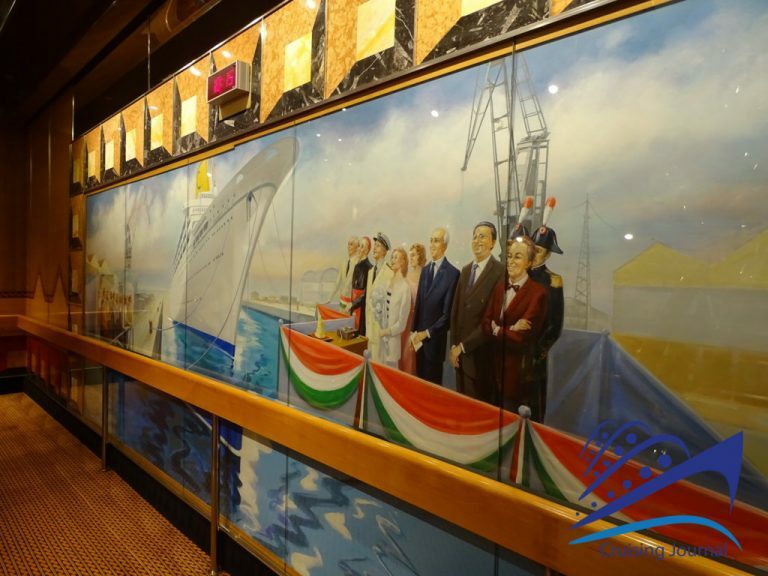 Hence the ideas of paying homage to the great historical ships that have marked the Italian experience in overseas transport. 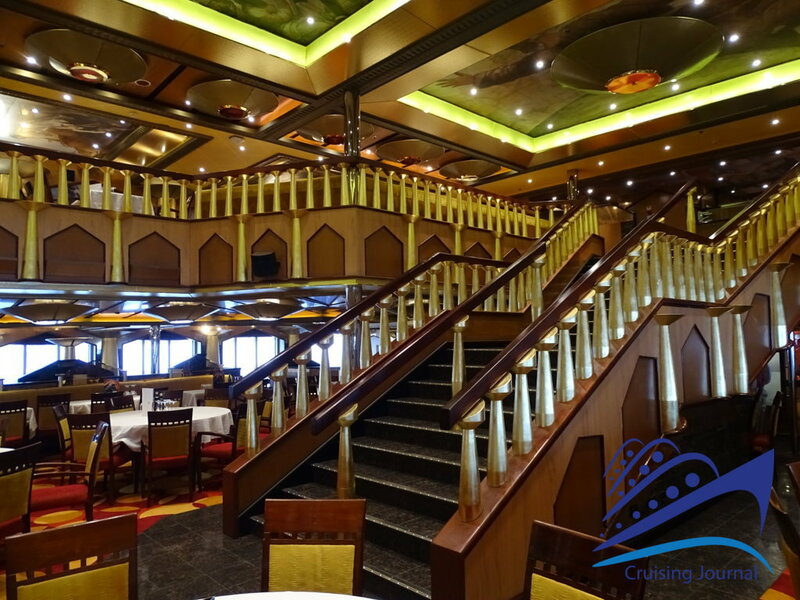 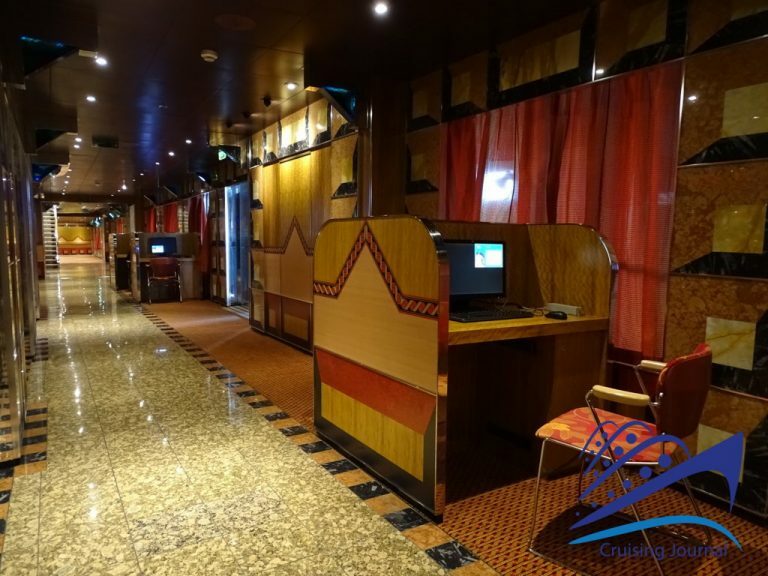 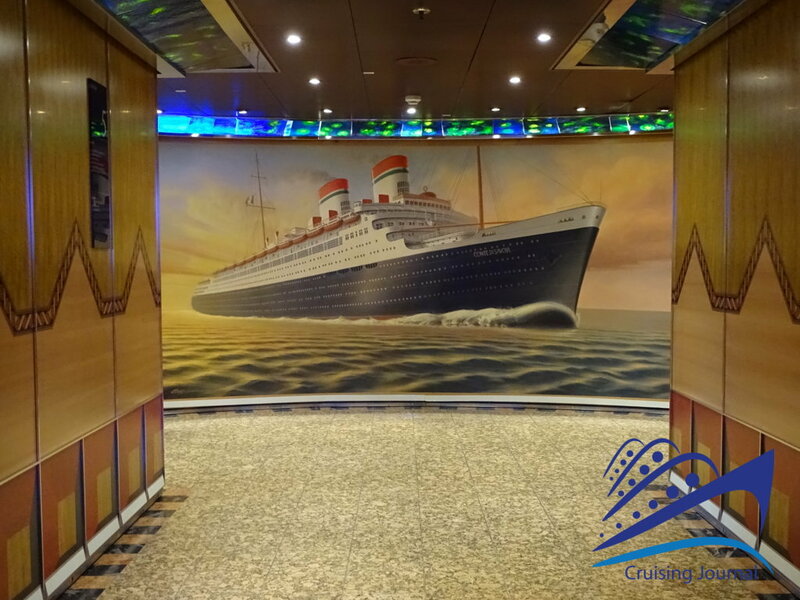 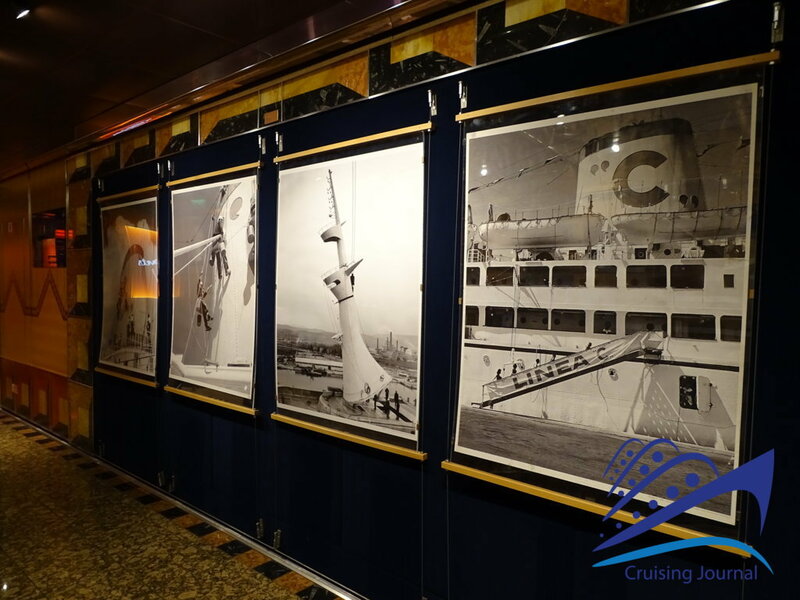 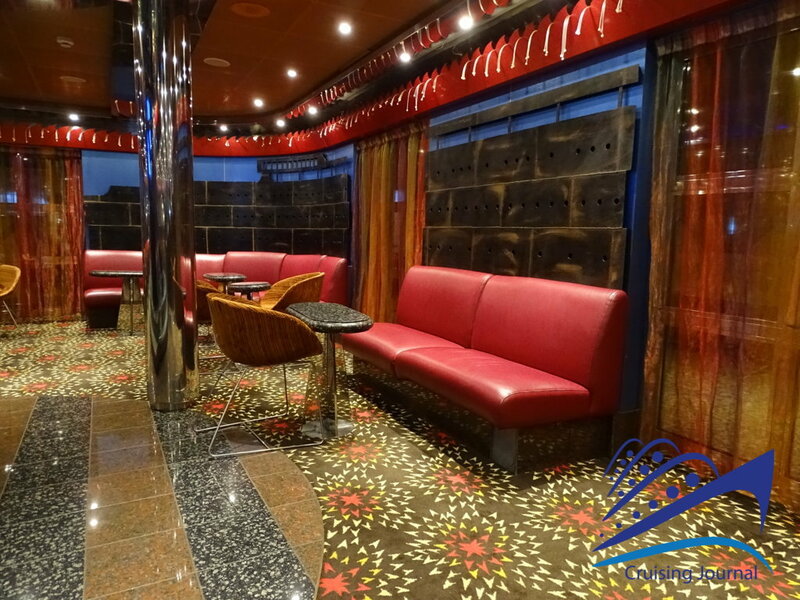 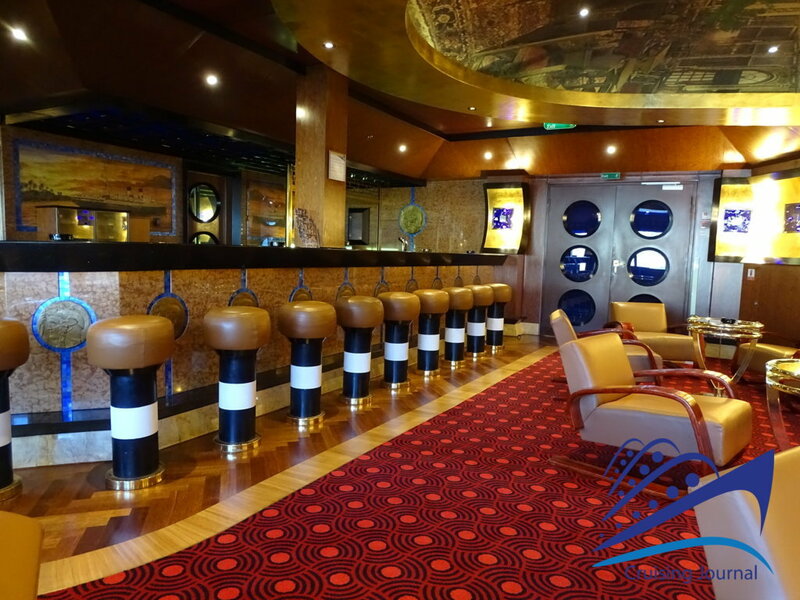 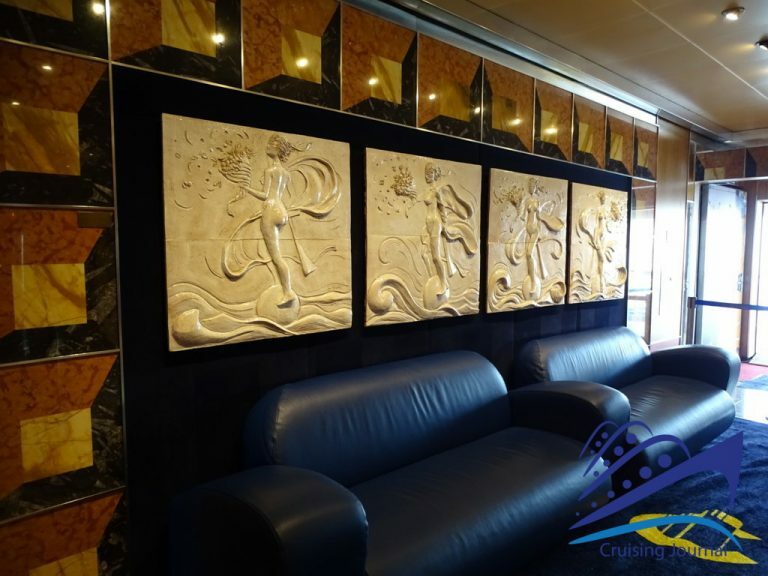 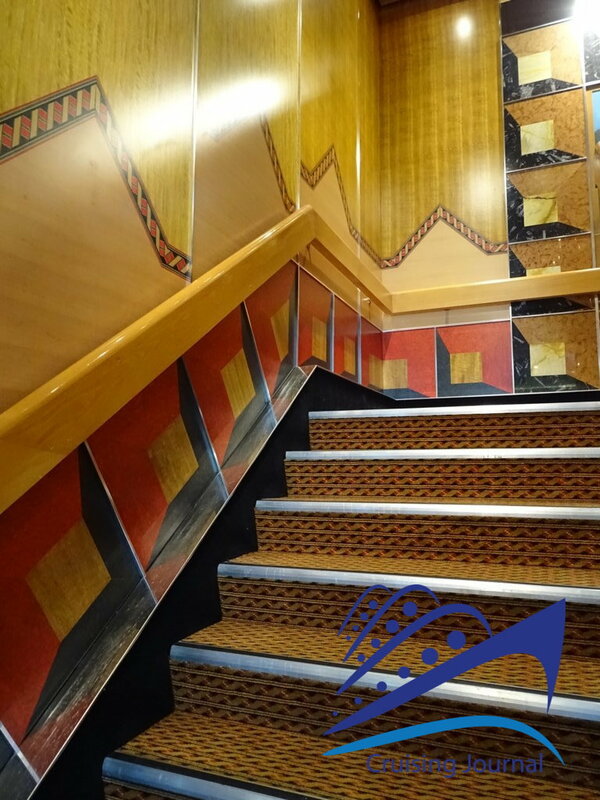 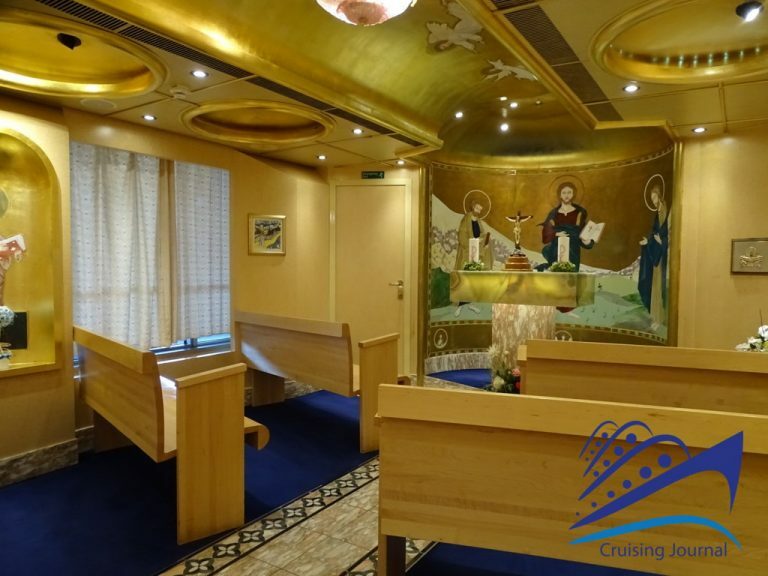 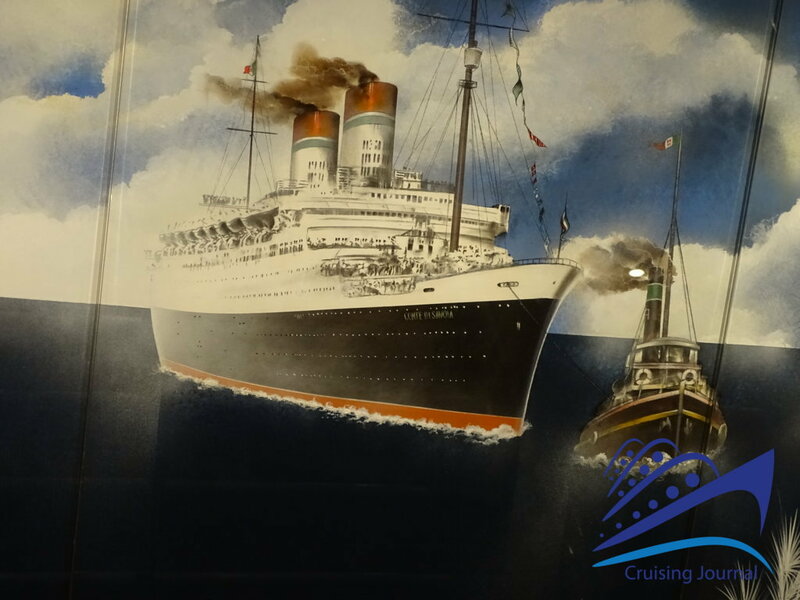 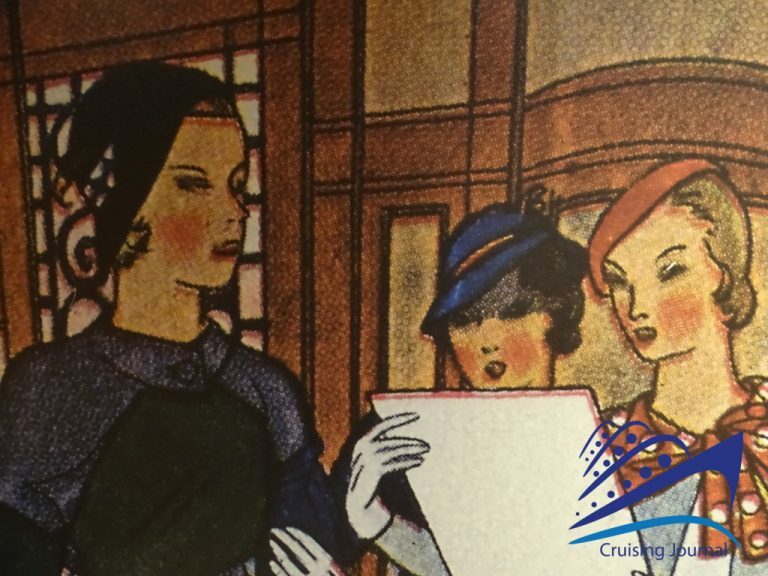 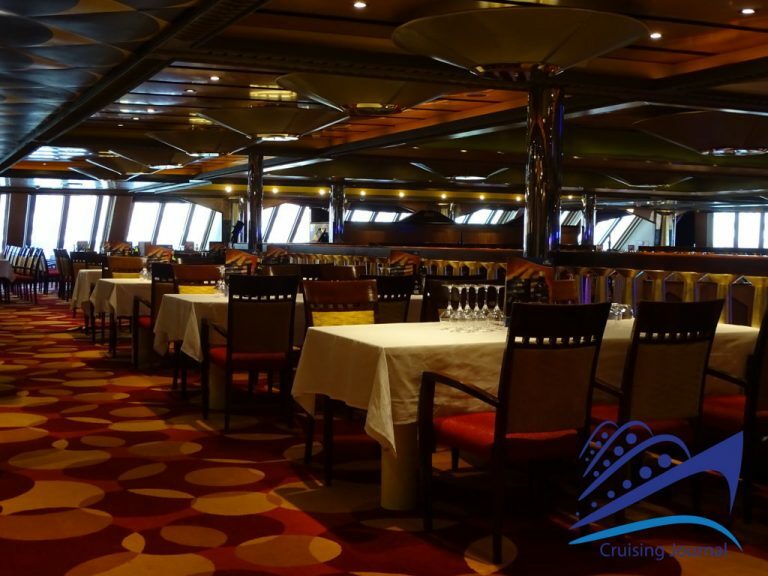 The Costa Fortuna is therefore still dedicated to the transatlantic liners, which are named after the many rooms on board (including the year the ship was launched) and numerous decorations inside the ship. 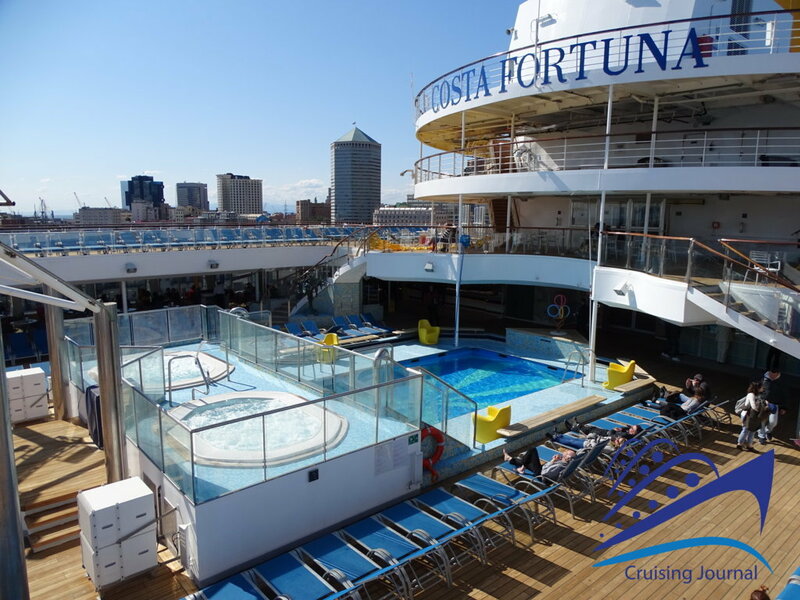 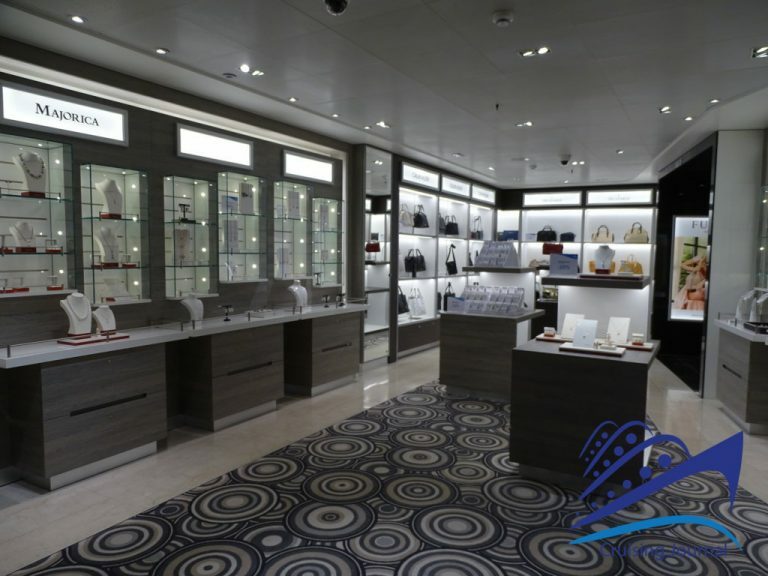 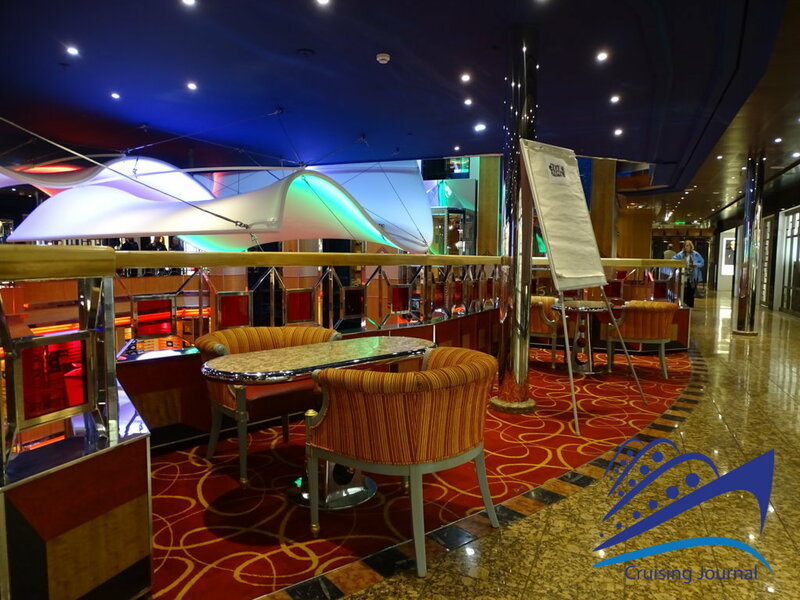 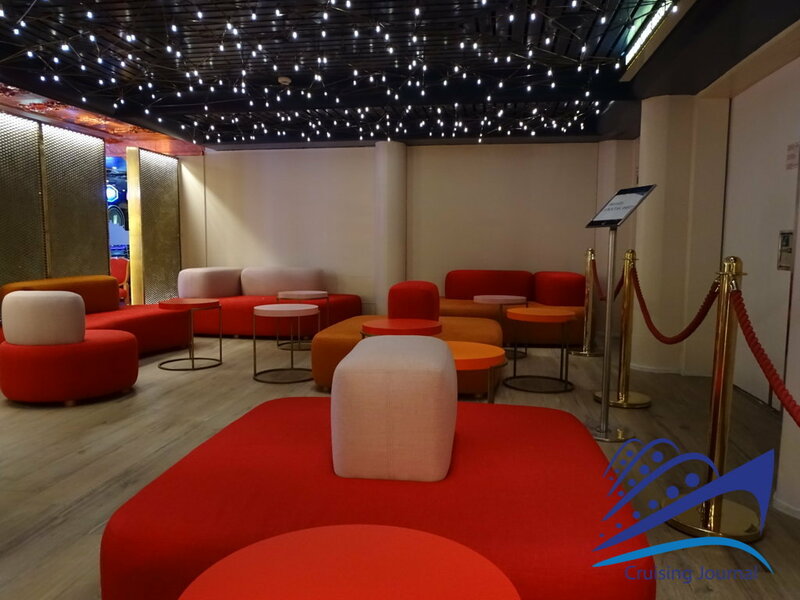 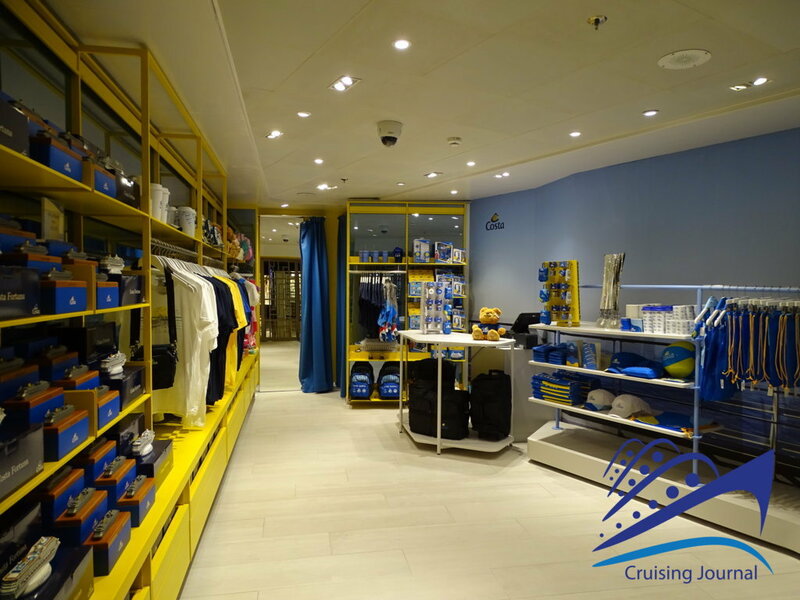 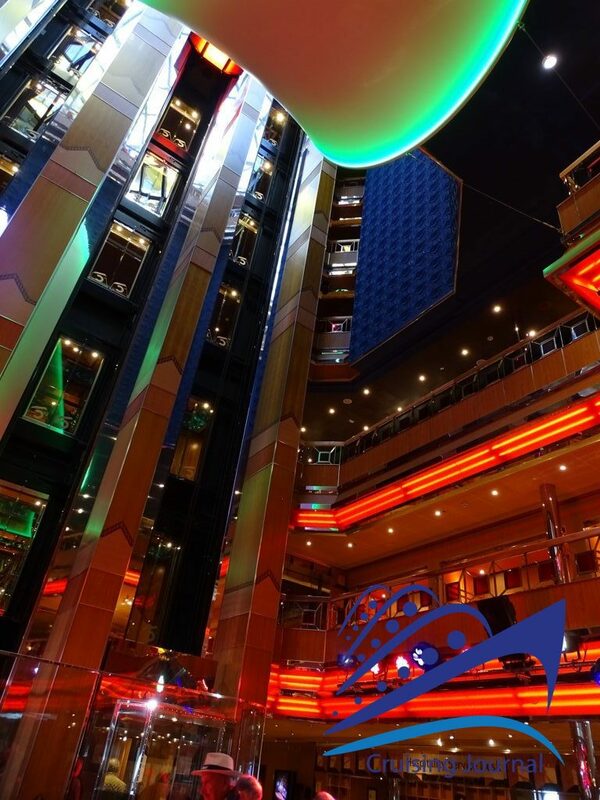 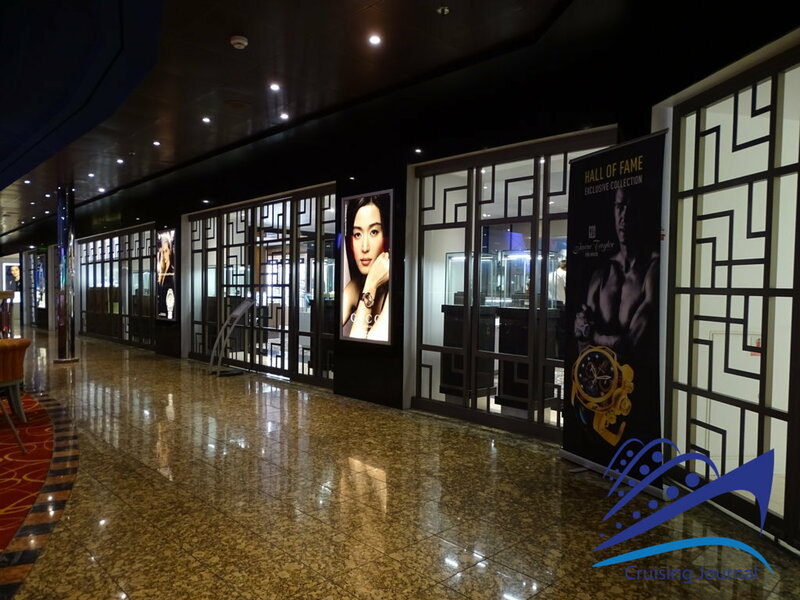 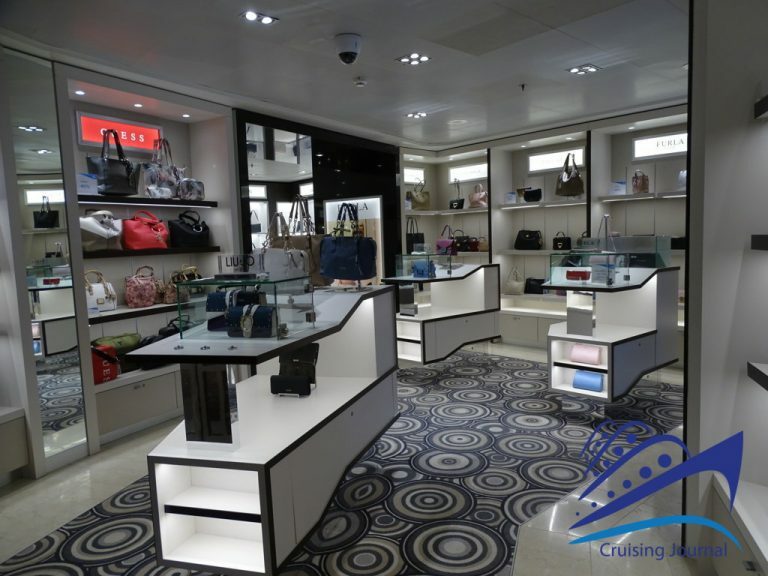 The Destiny project, which has been renovated here for Costa Cruises with the Fortuna class of the same name, presents the central atrium, Costa Atrium, on deck 3, the main entrance to the ship. 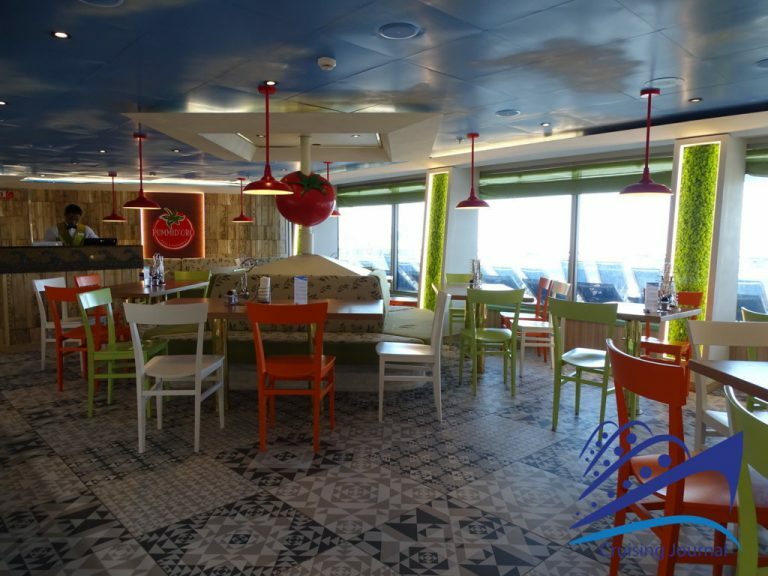 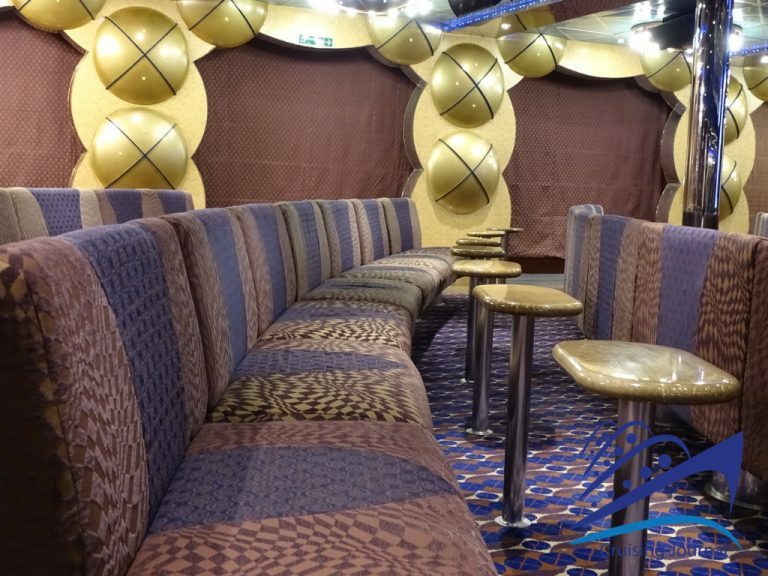 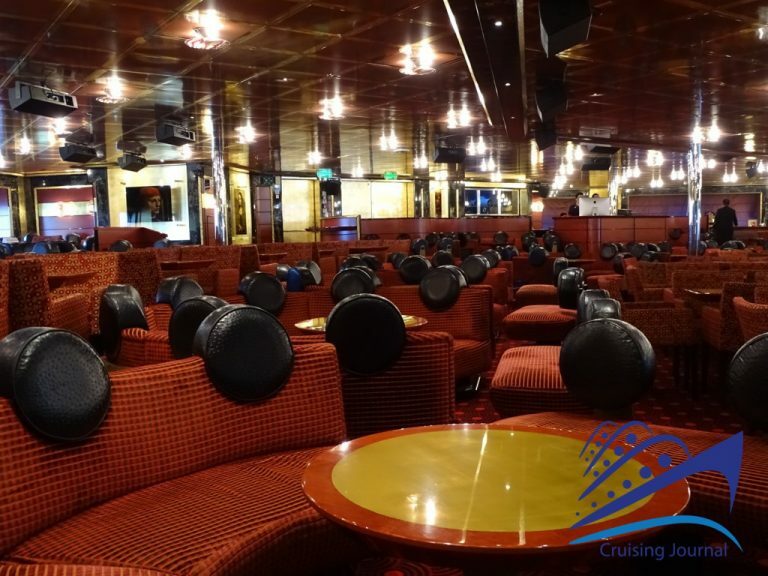 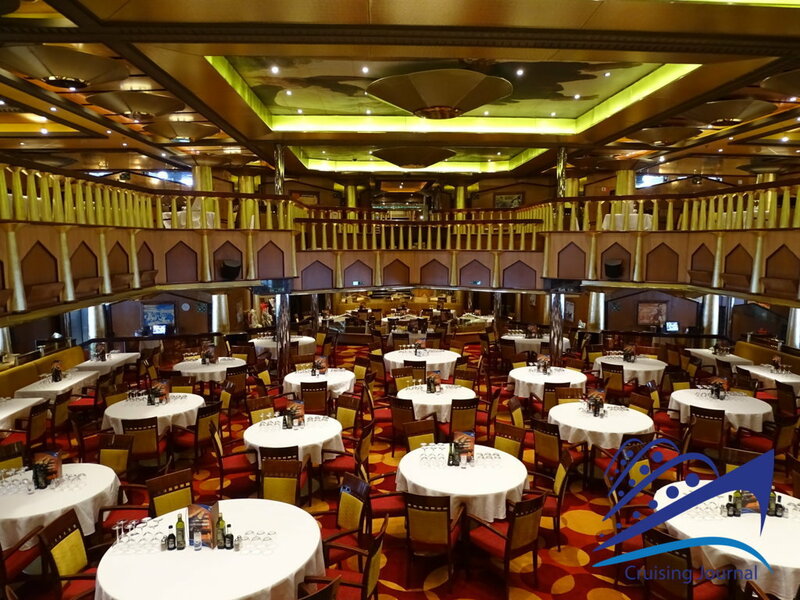 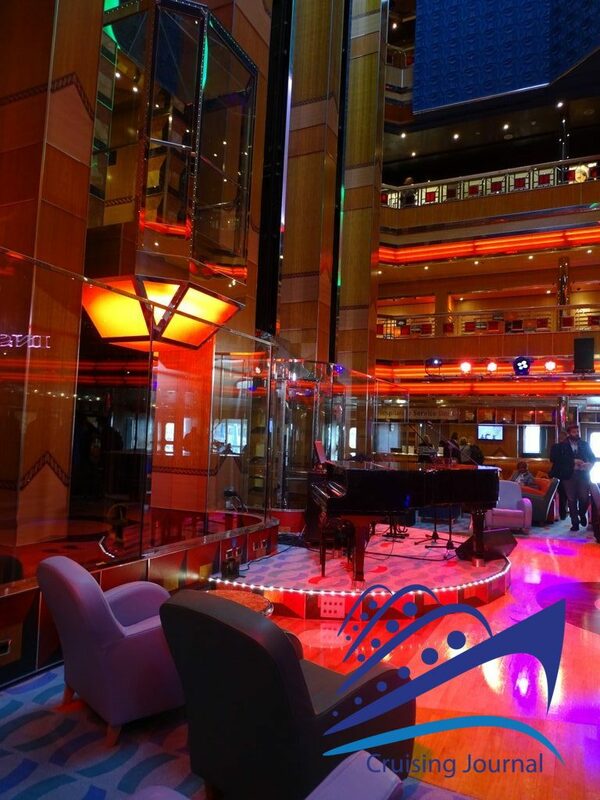 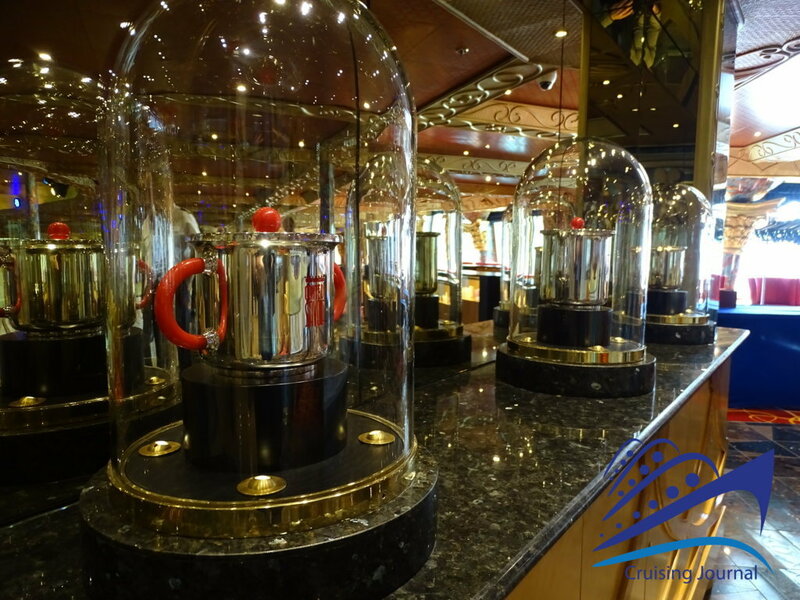 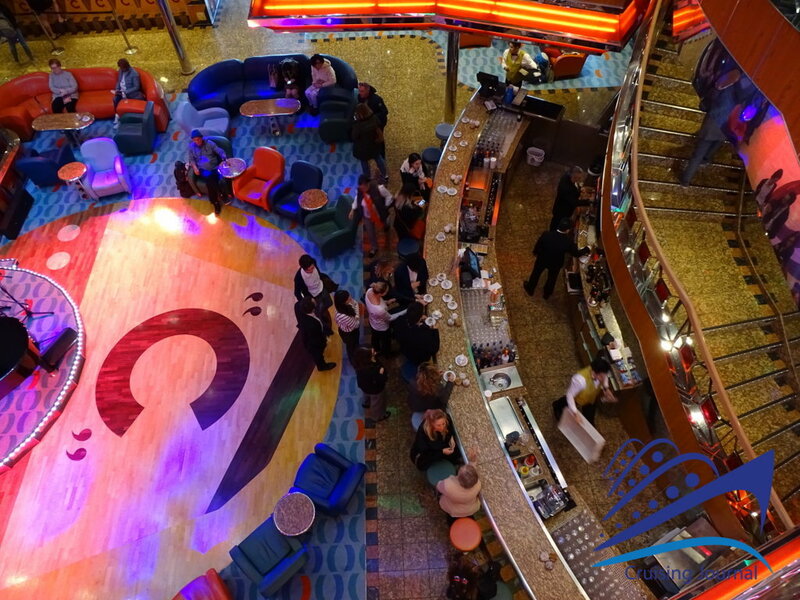 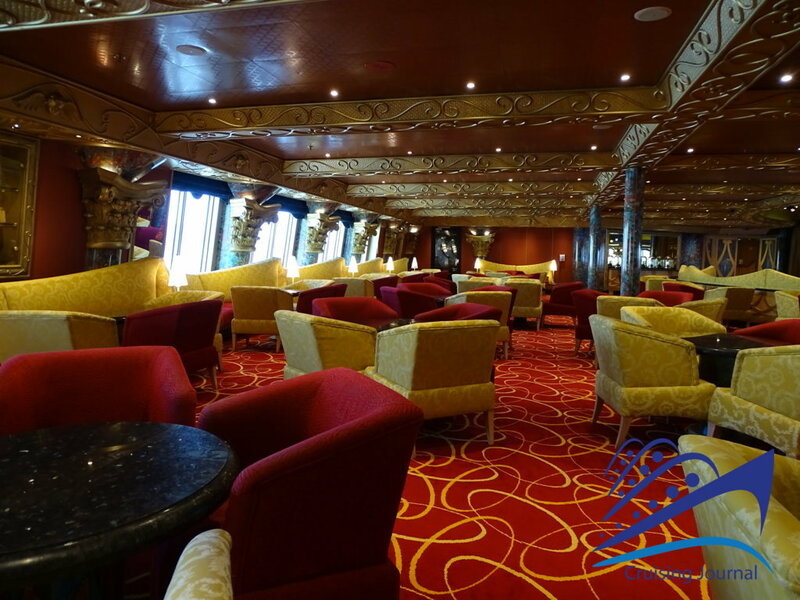 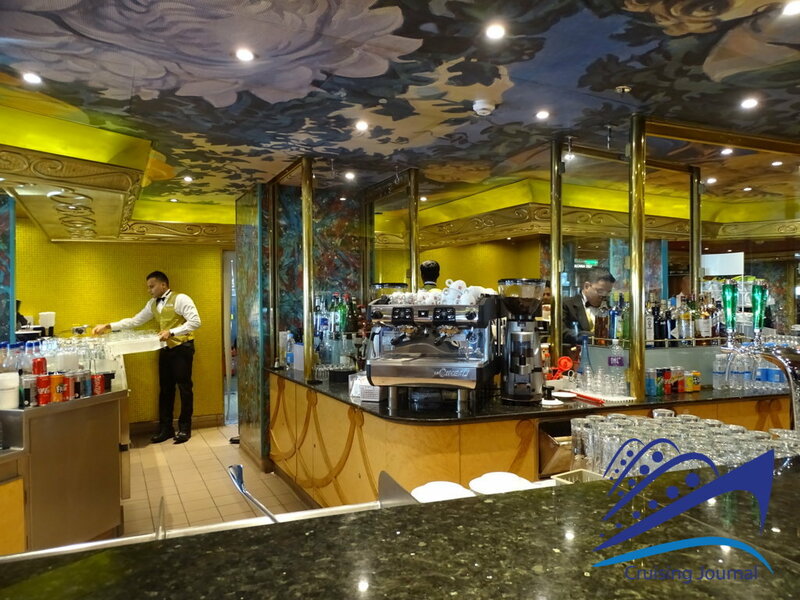 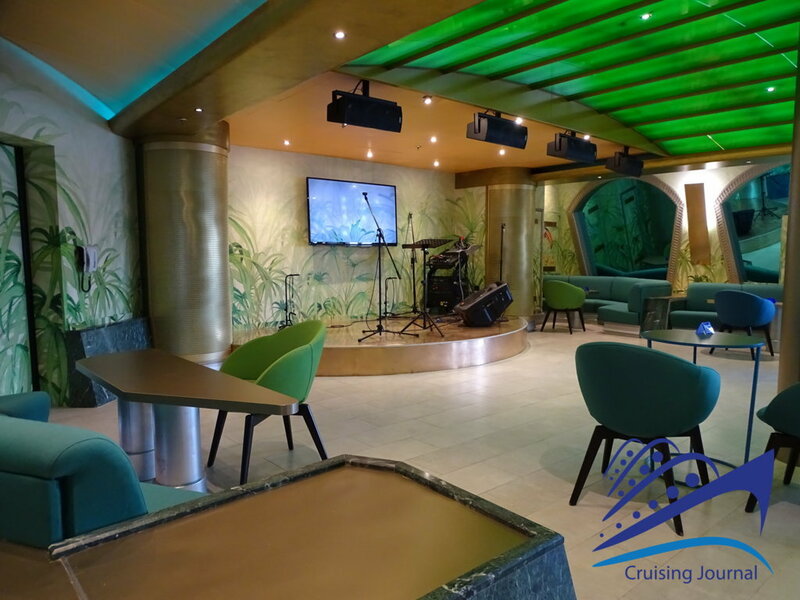 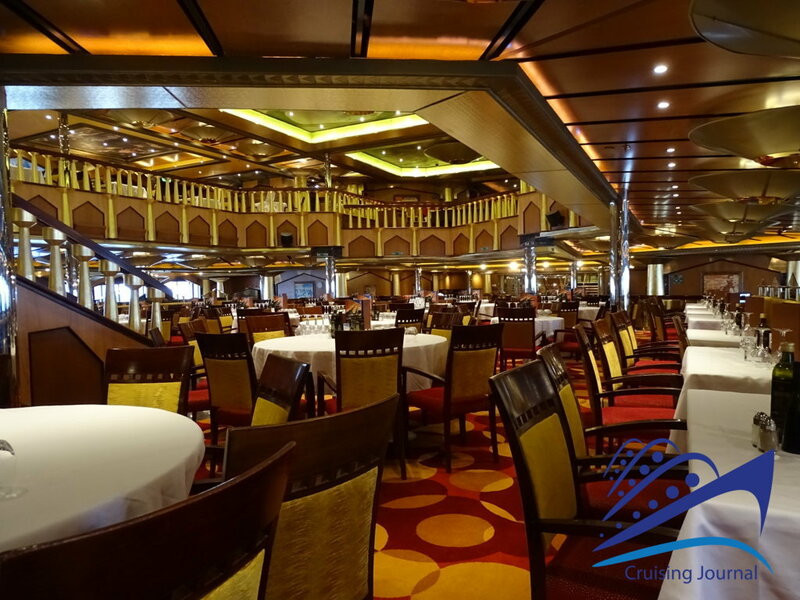 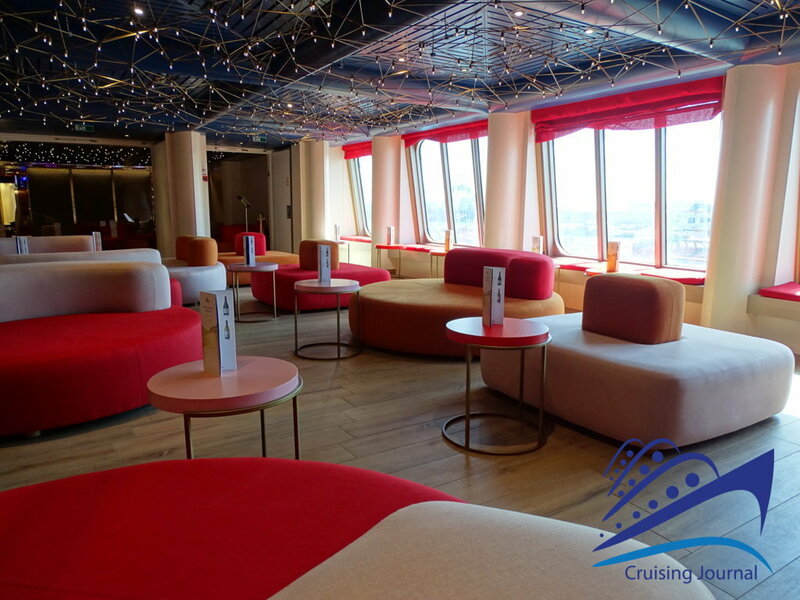 It is one of the most popular places on the ship, where the Costa Bar serves from coffee to an evening drink and where you can sit in the company of good music from the piano. The panoramic elevators move between the bridges, giving the atrium the same liveliness and colour. 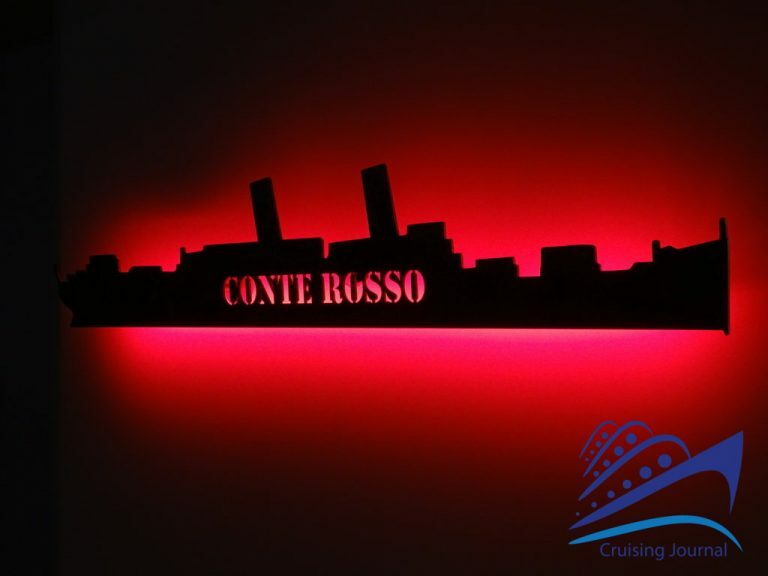 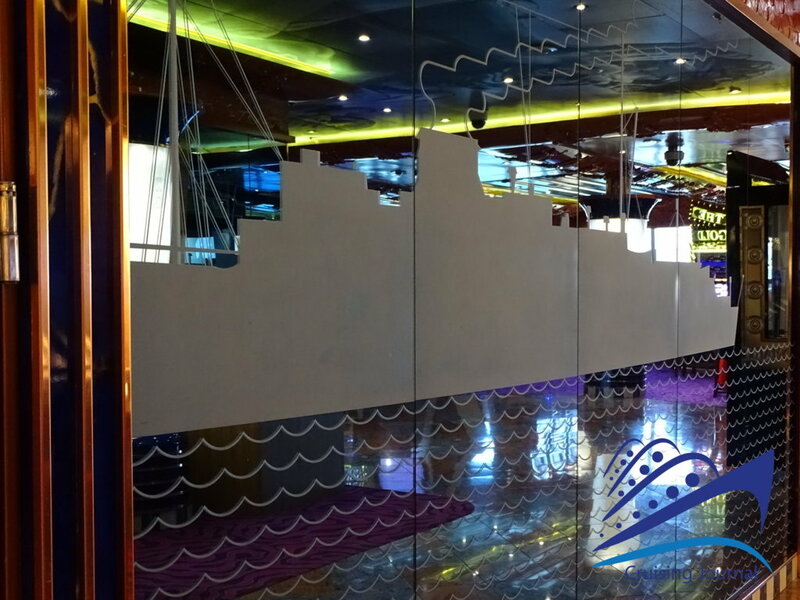 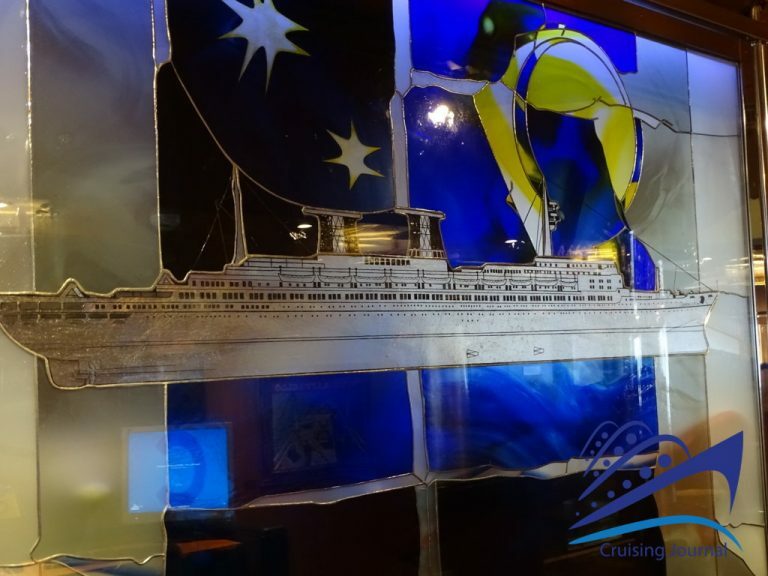 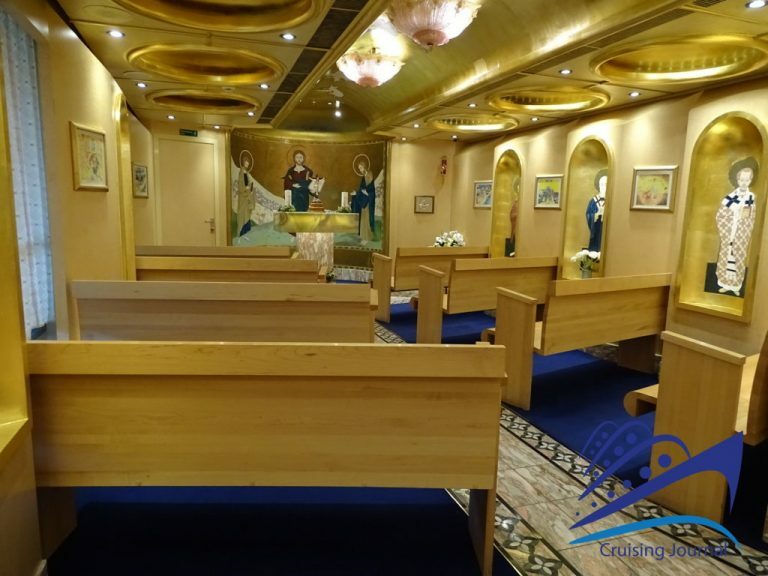 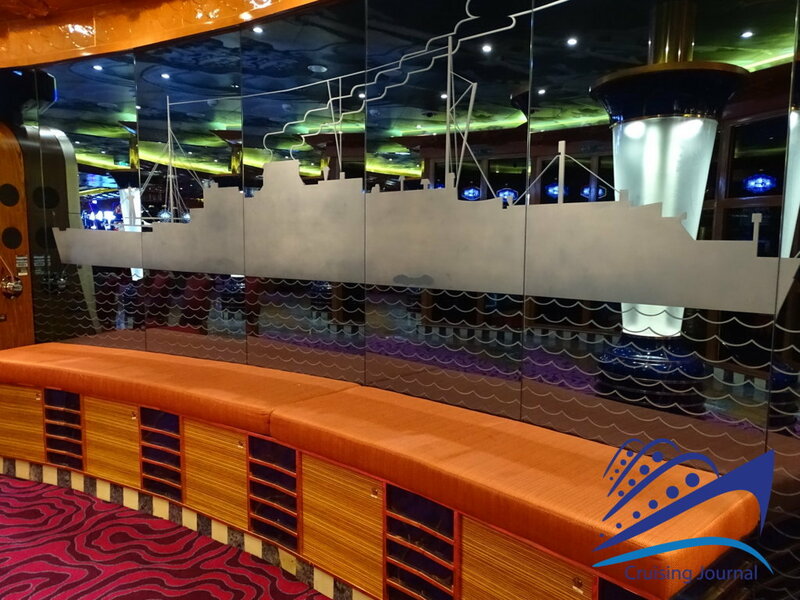 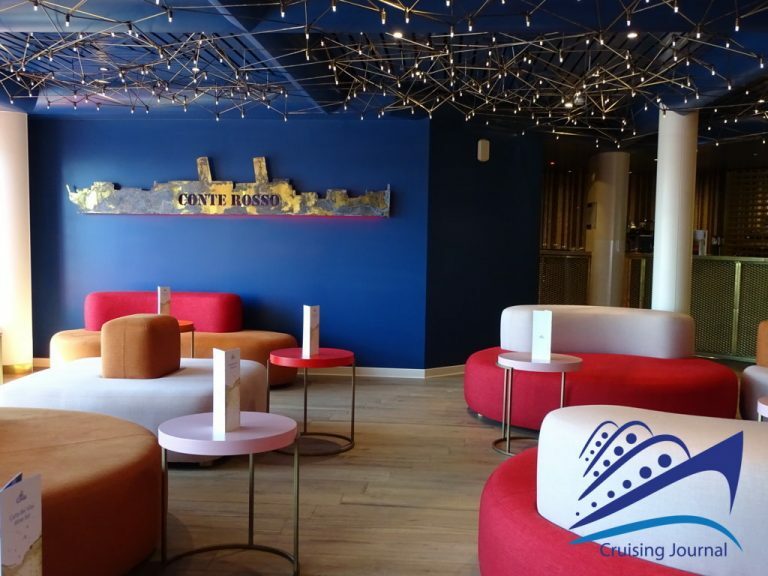 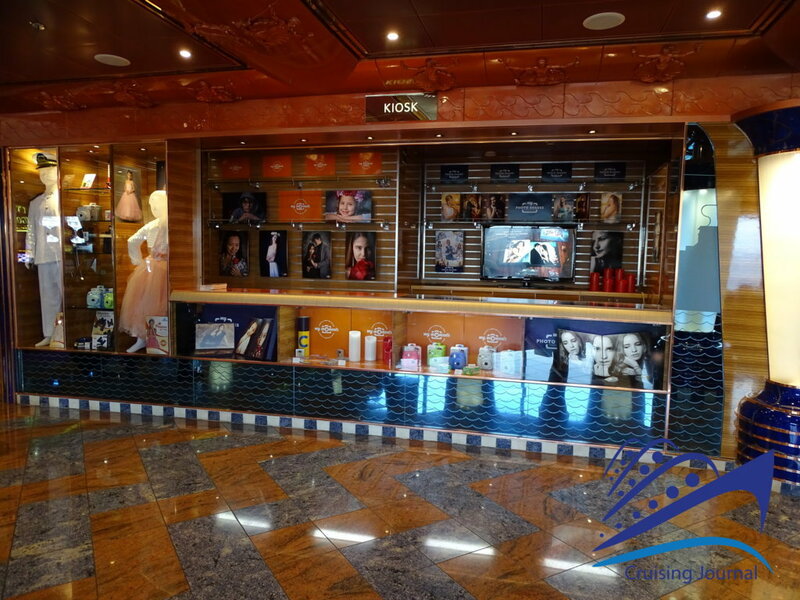 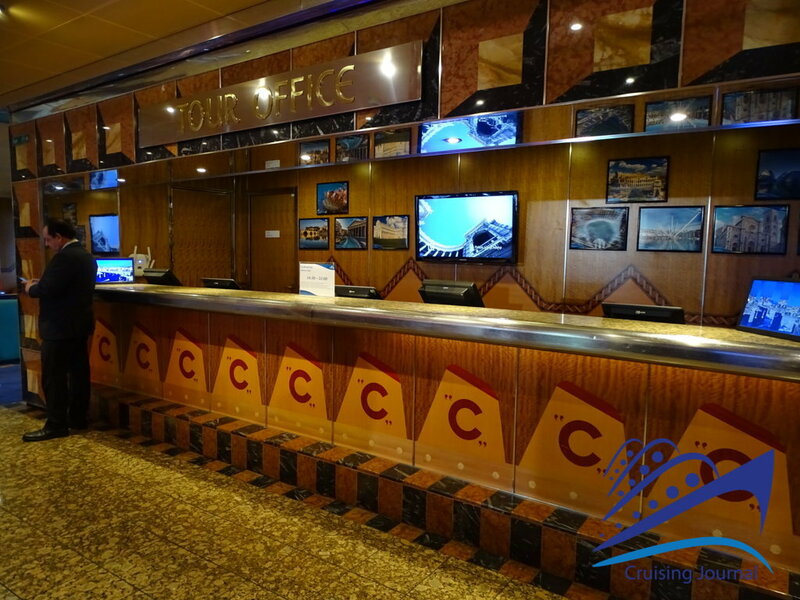 Coloured panels have replaced the original Costa Cruises fleet models, taking a piece of history away from the ship, but modernising the entire environment. 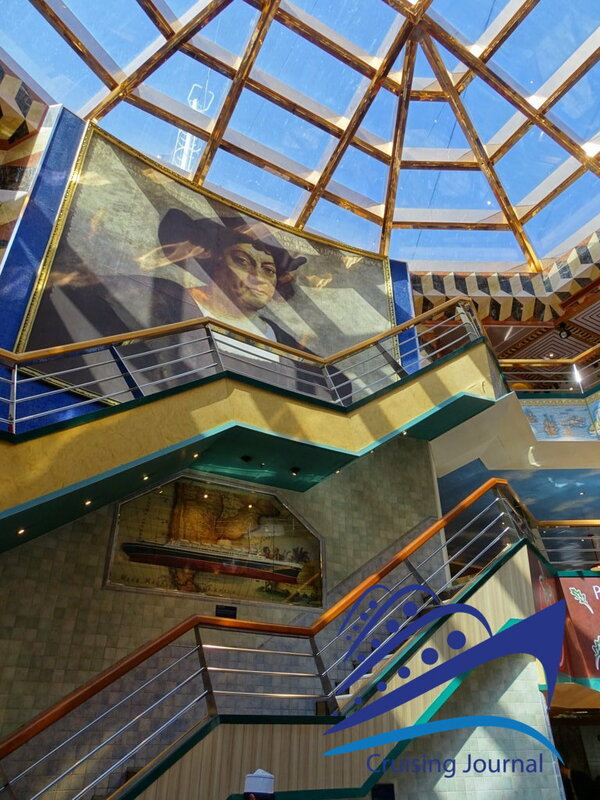 On both sides of the Atrium are the Customer Service and the Excursion Office. 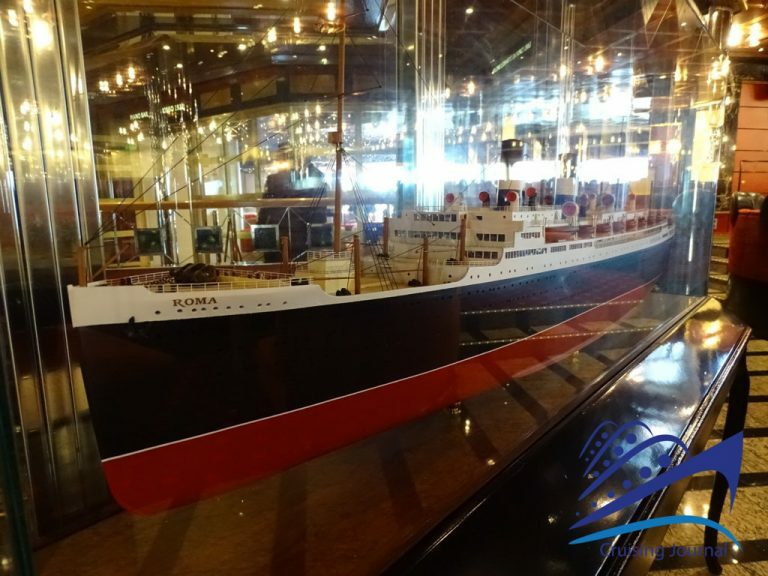 At the bow one then enters the Rex 1932 Theatre, a 3-level theatre dedicated to the legendary ship holding the Blue Ribbon. 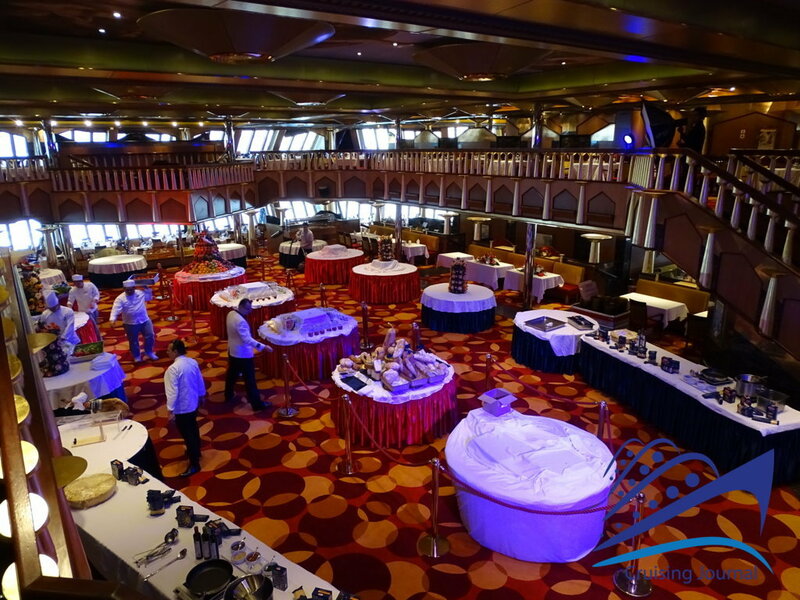 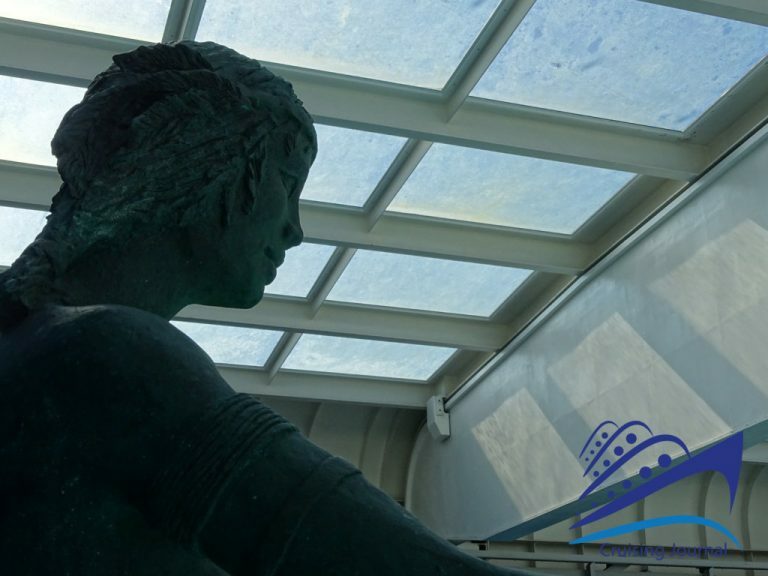 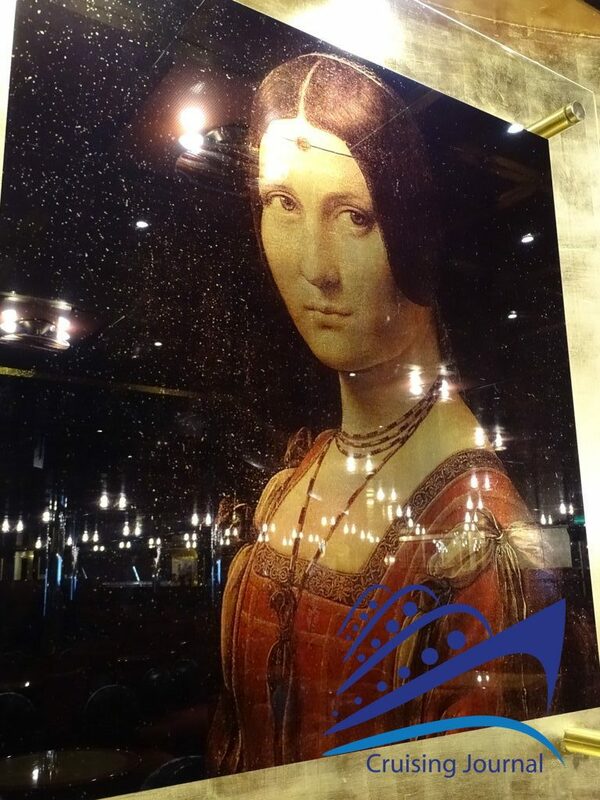 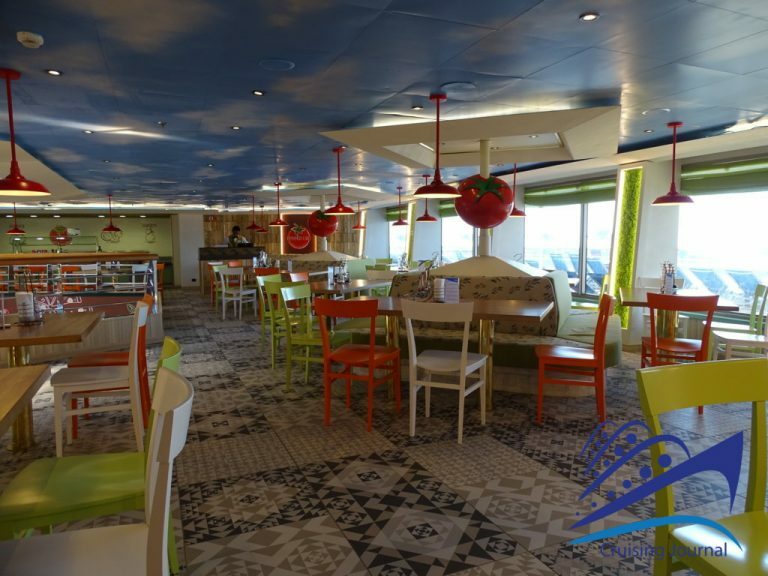 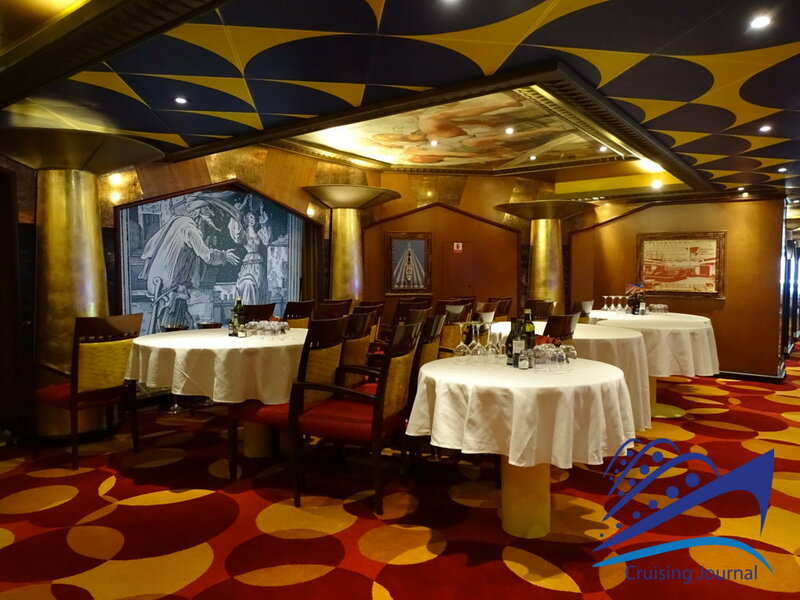 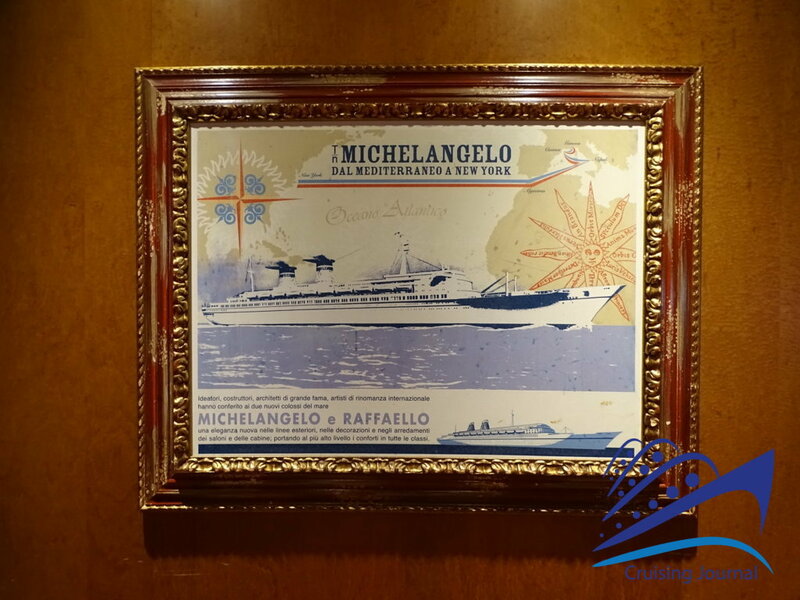 In the middle of the ship you will find one of the two main restaurants, the Raffaello 1965 Restaurant, whose hull is elegantly depicted right at the entrance. Arranged on two levels, from here you have access to the upper balcony where there are other representations dedicated to the transatlantic liner and a beautiful view of the living room below. 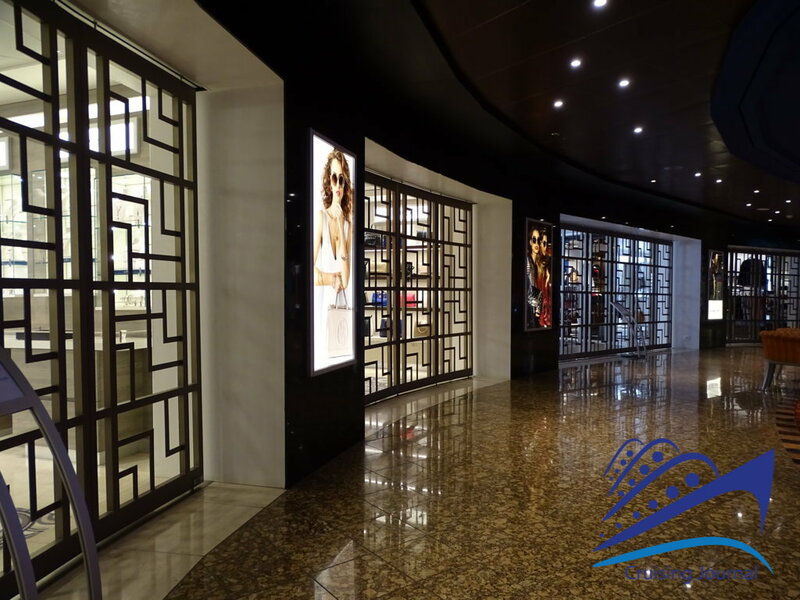 Going up to deck 4 from the steps of the Costa Atrium you will find yourself in front of the entrance to the upper level of the Raffaello 1965 Restaurant. 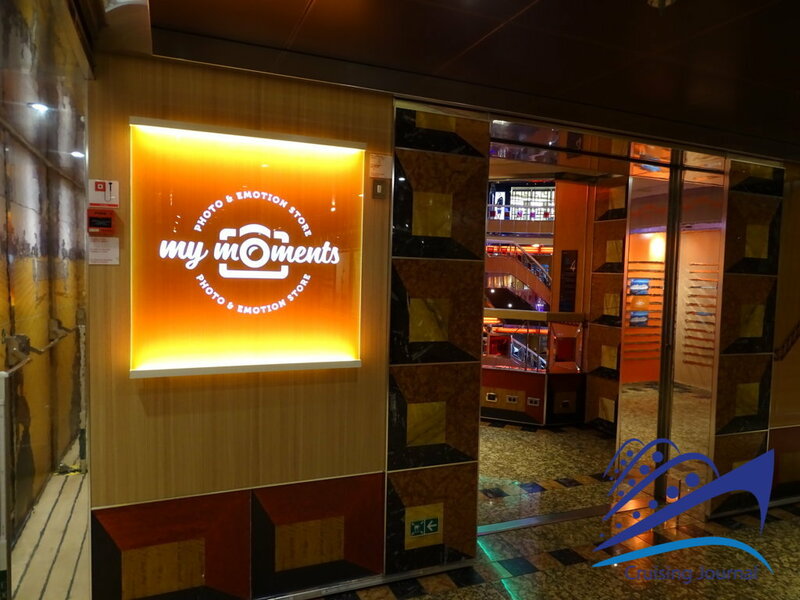 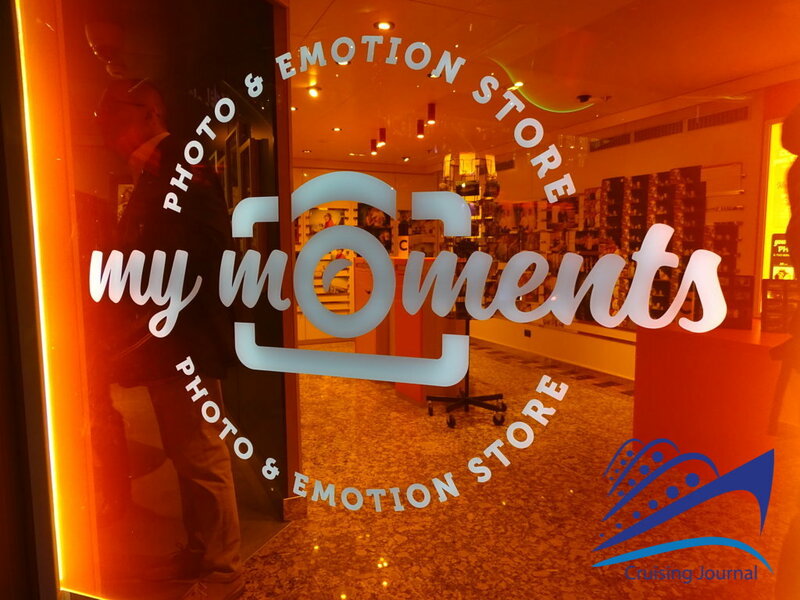 To the sides, you will find a space dedicated to the photographs offered by the My Moments Photo & Emotions Shop. 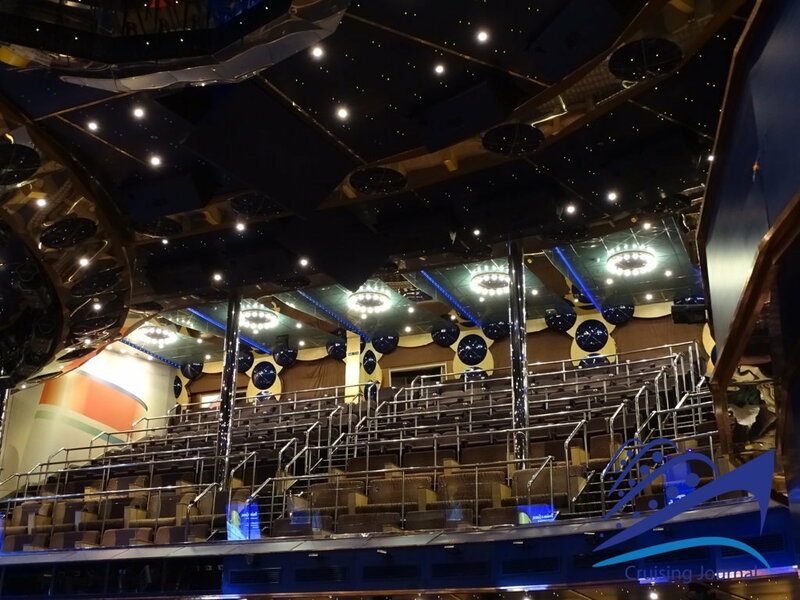 The balcony ends at the second level of the theatre. 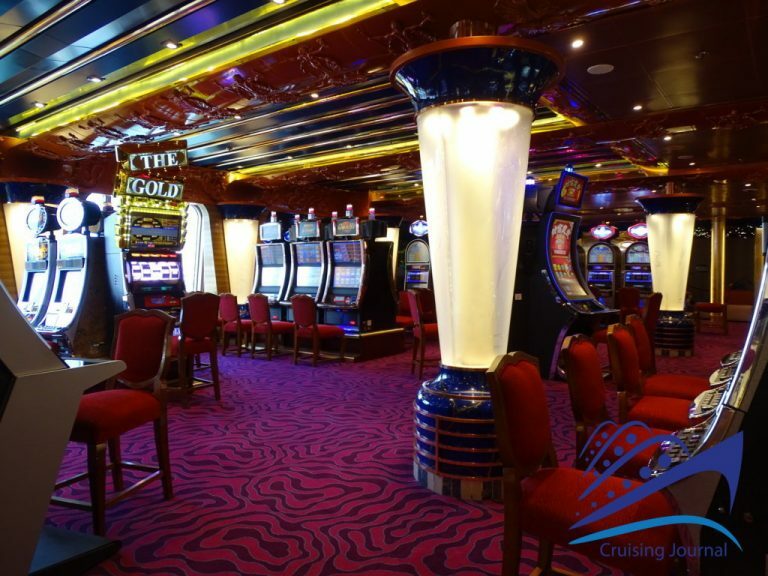 On the aft side, you will find the Chapel on board, the Chapel, the Internet Point and the Vulcania 1927 Disco, below the casino. 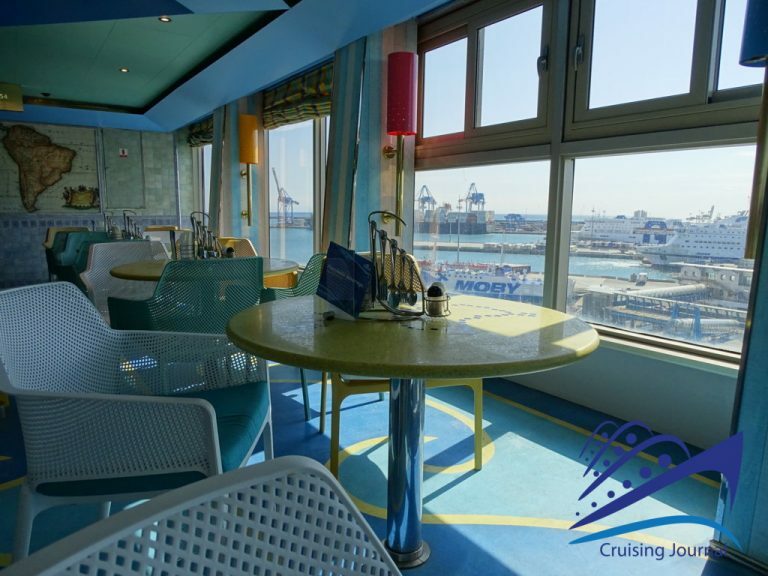 The Michelangelo 1965 Restaurant, the second of the main restaurants, also on two levels and with a beautiful window in the wake of the ship, closes on the extreme stern. 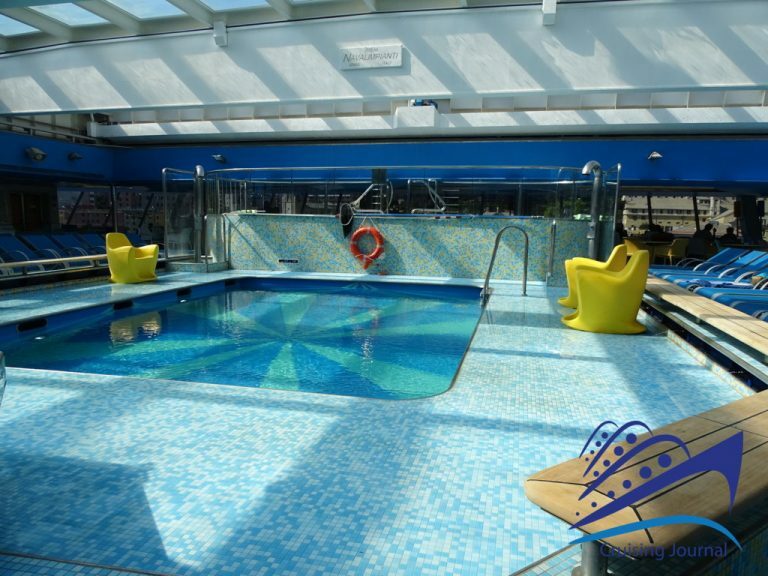 On deck 5, most of the rooms on board are developed. 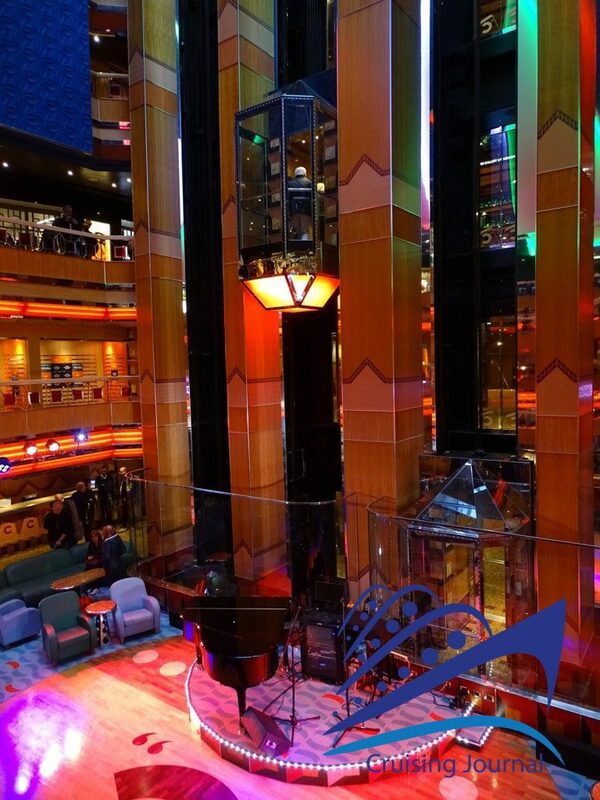 If we still find the theatre stalls at the bow, around the Costa Atrium there is another balcony with numerous shops of all kinds, known as the Gallery Shops. 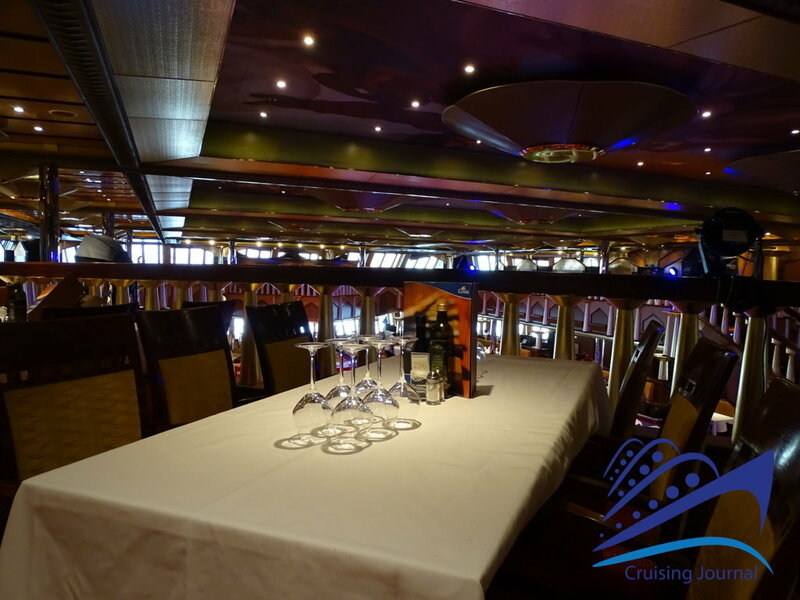 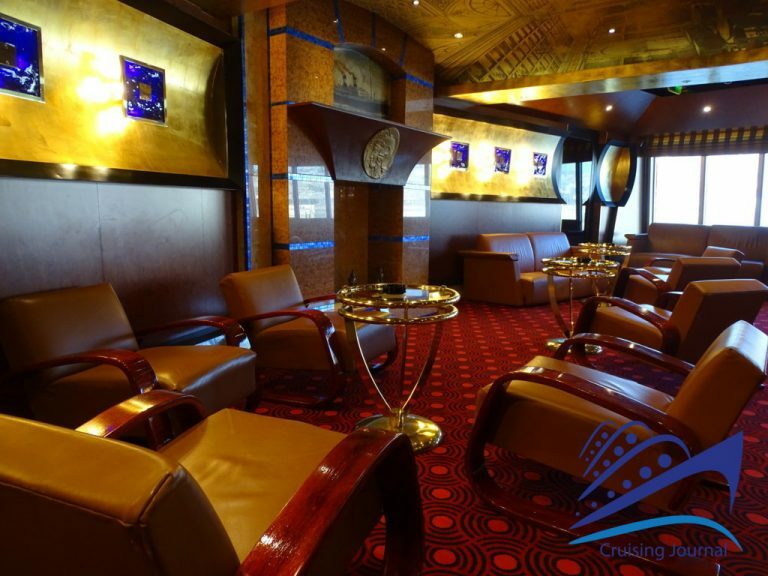 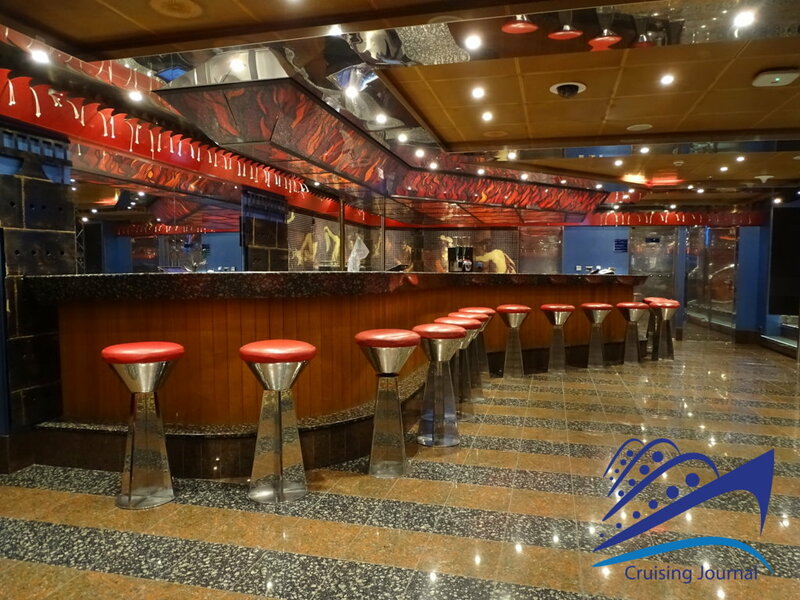 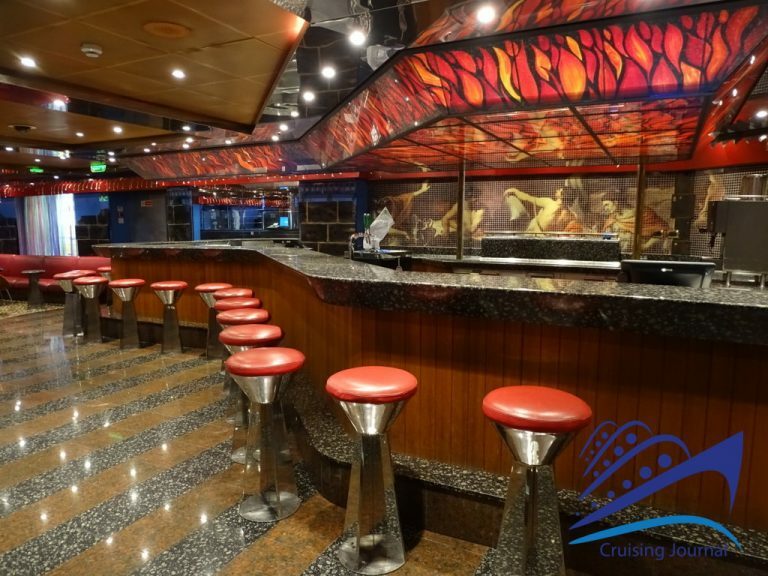 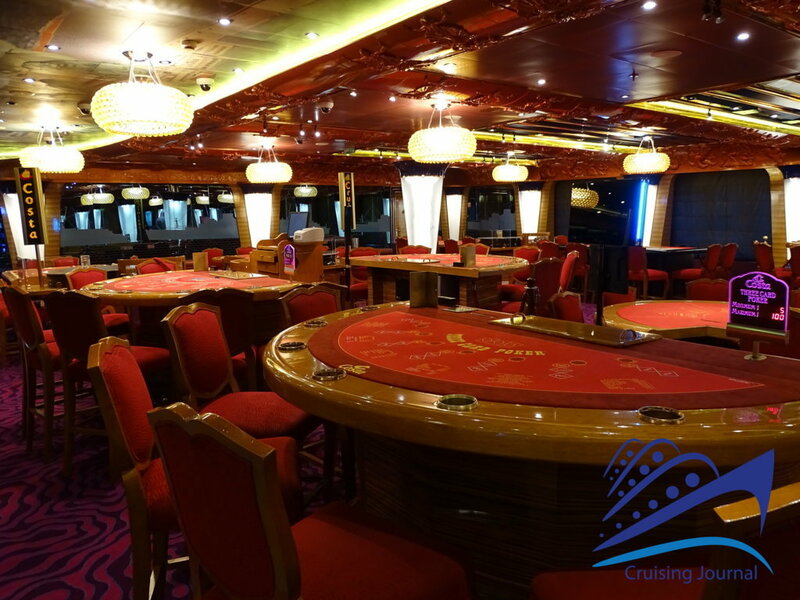 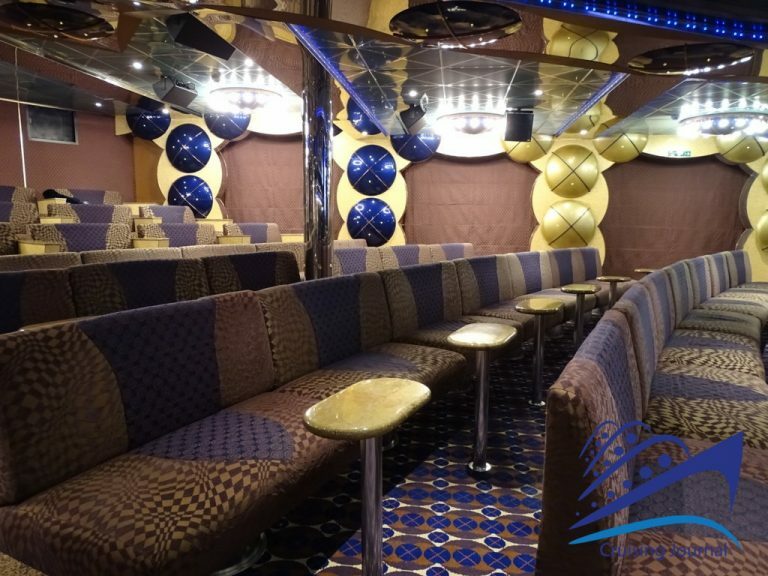 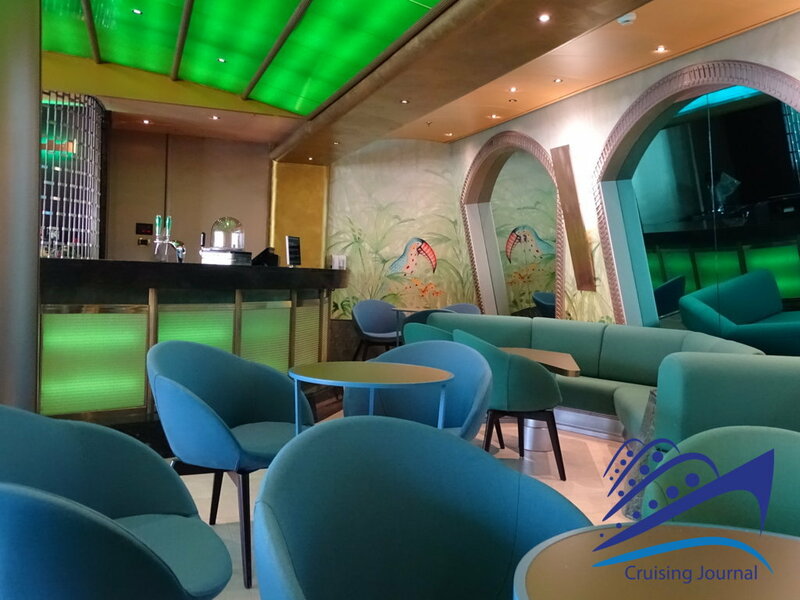 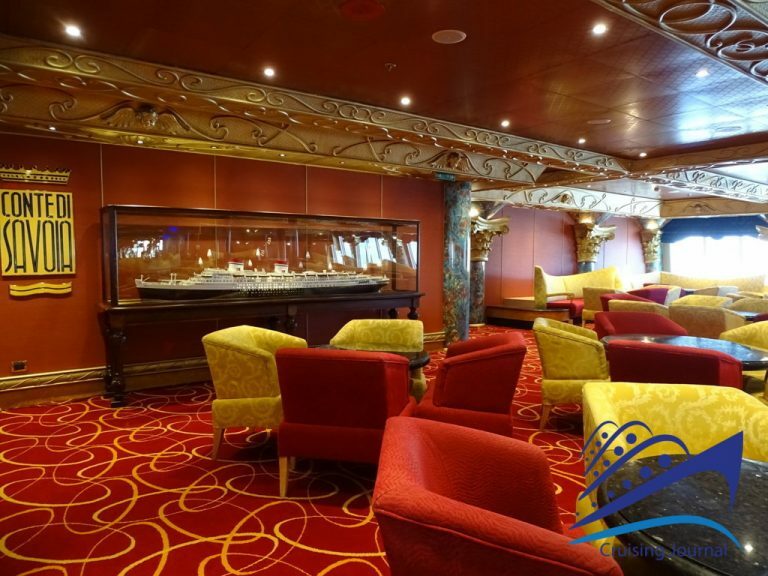 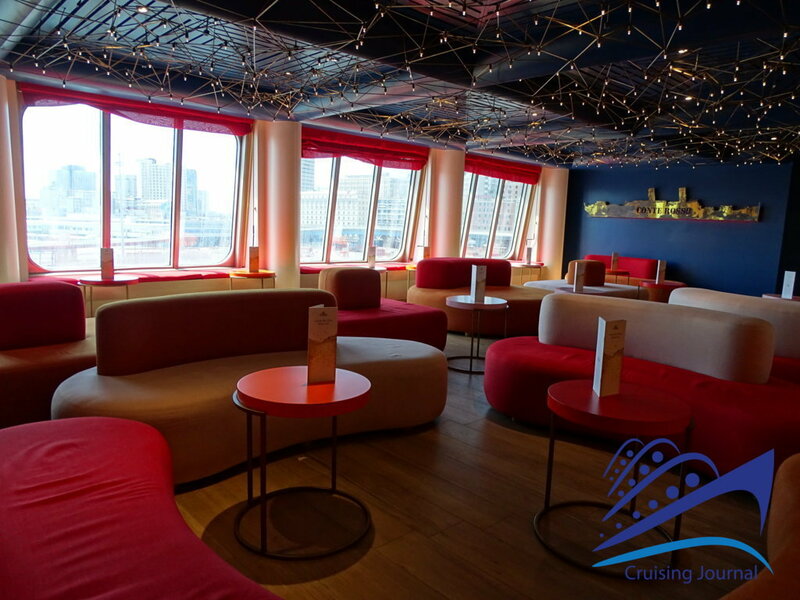 Moving towards the centre of the ship, on the left side, there is the Roma 1926 Classico Bar, dedicated to smokers and characterized by a nice fireplace, and, a little further on, the Conte di Savoia 1932 Grand Bar. 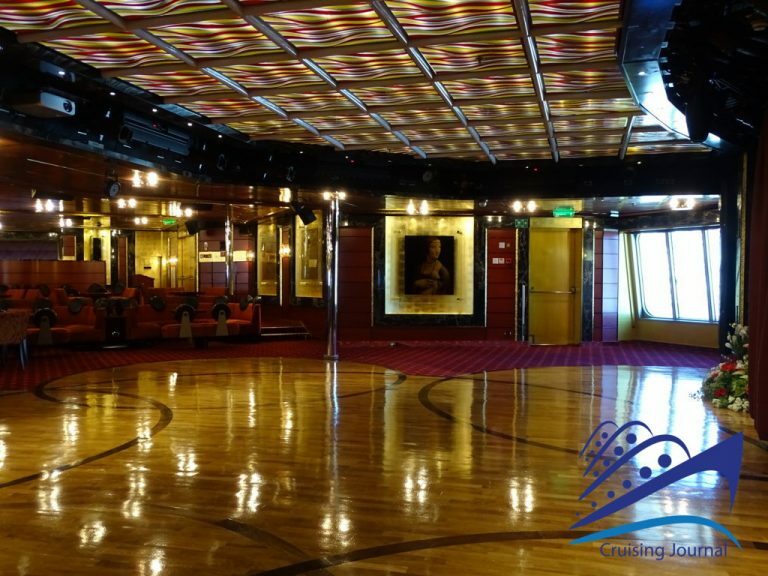 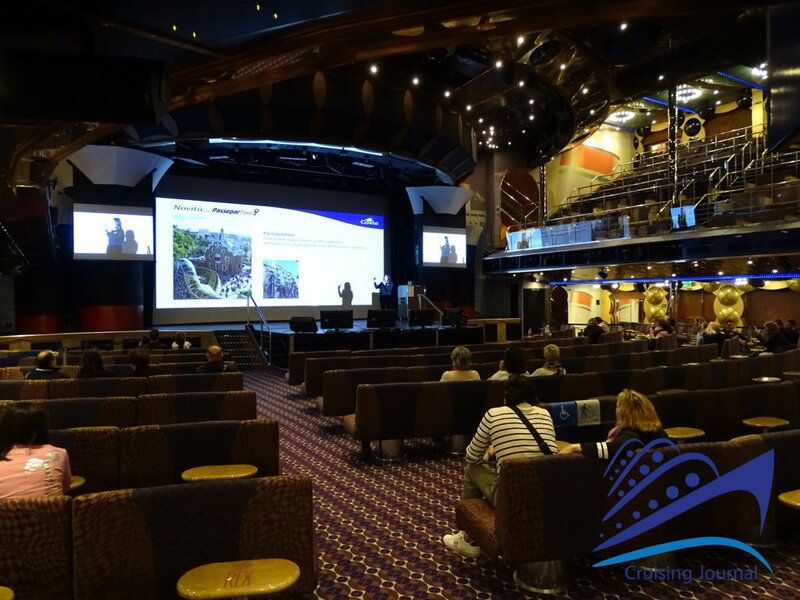 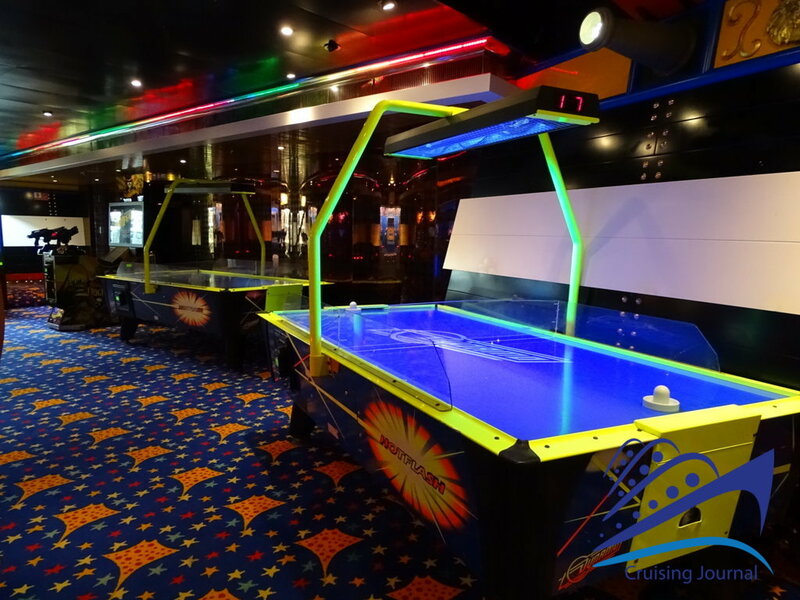 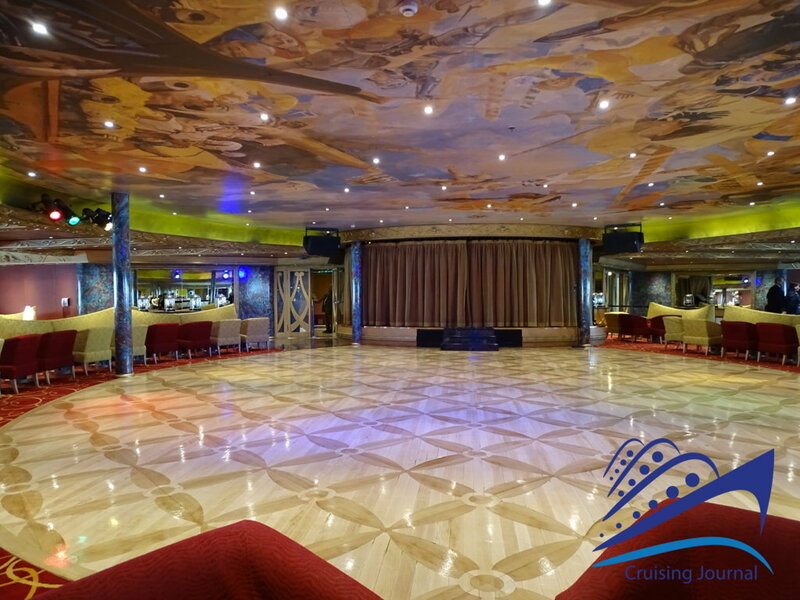 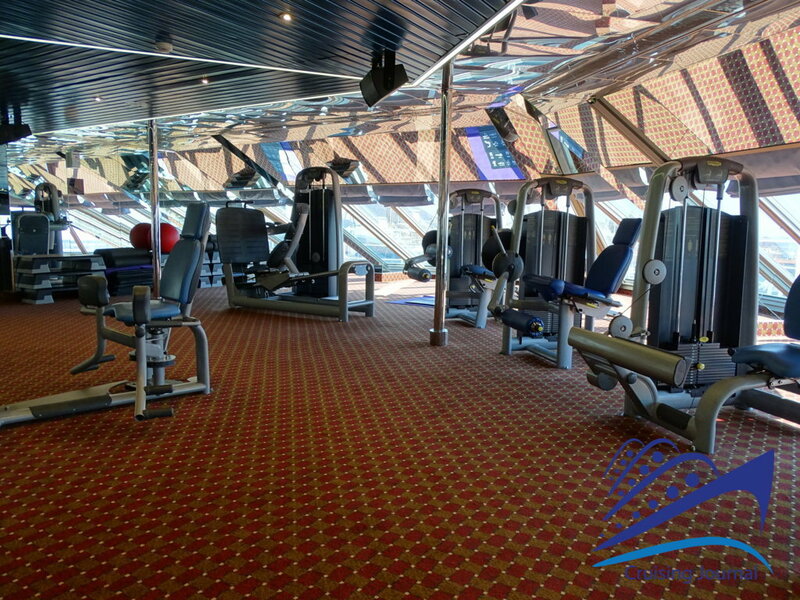 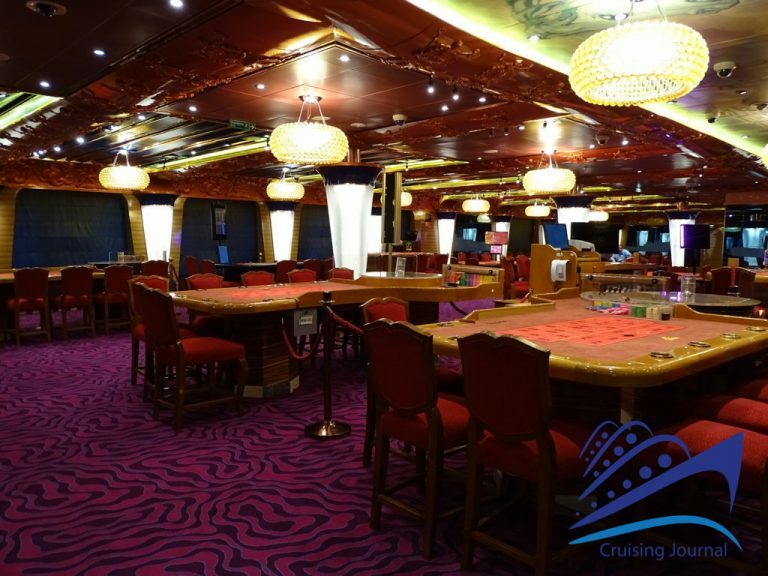 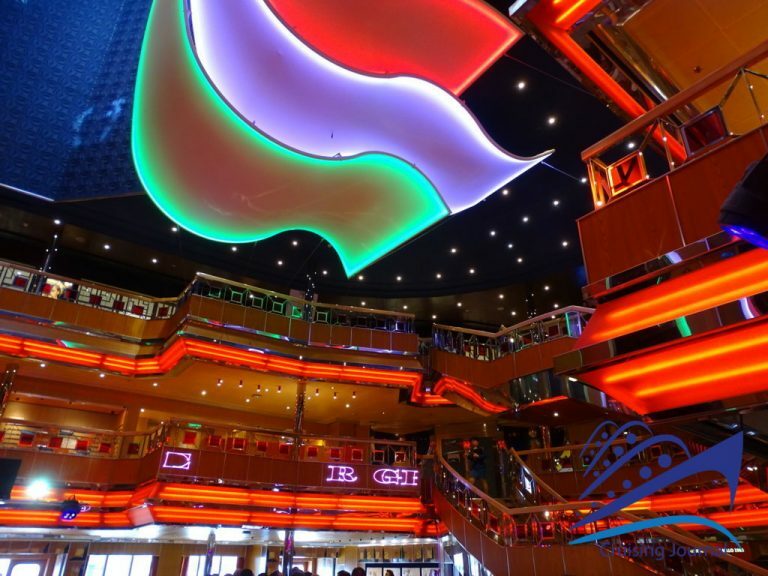 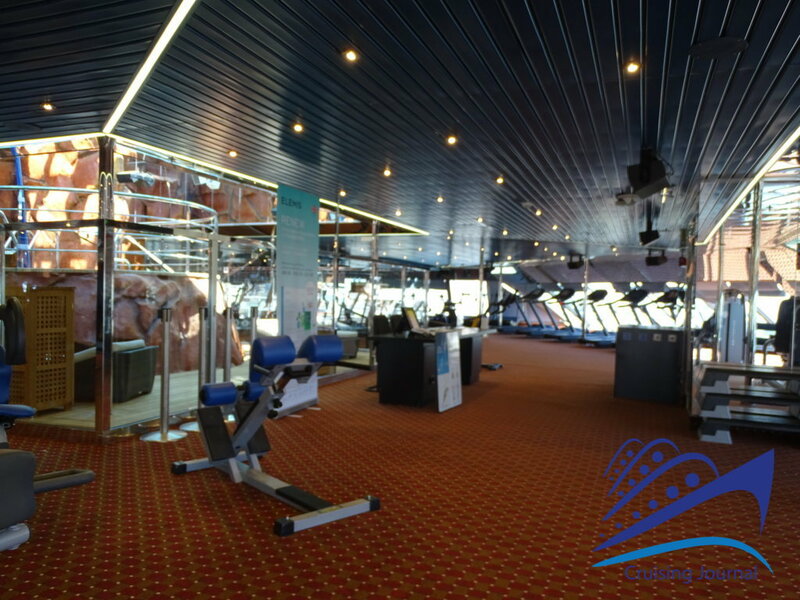 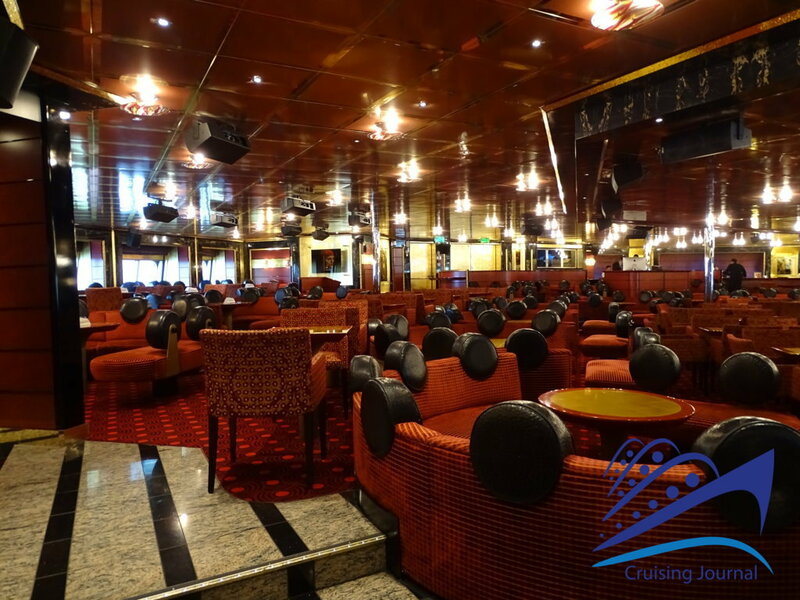 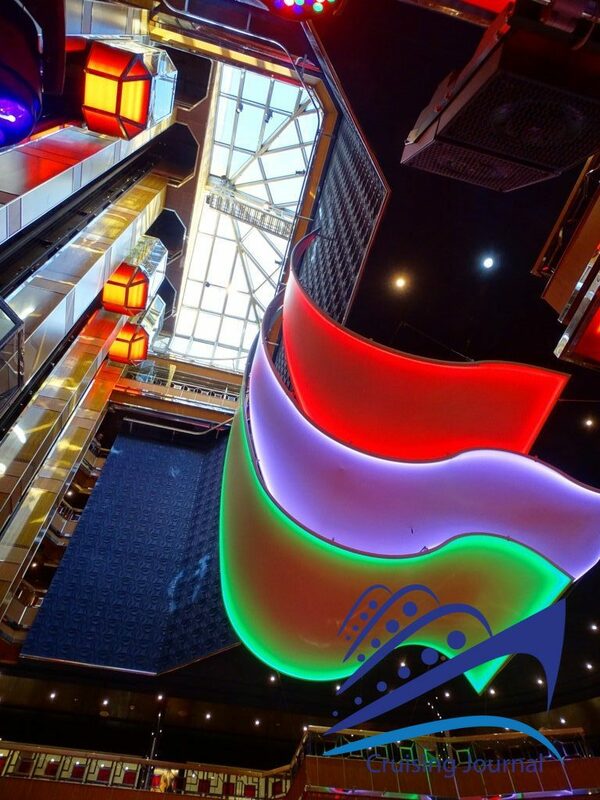 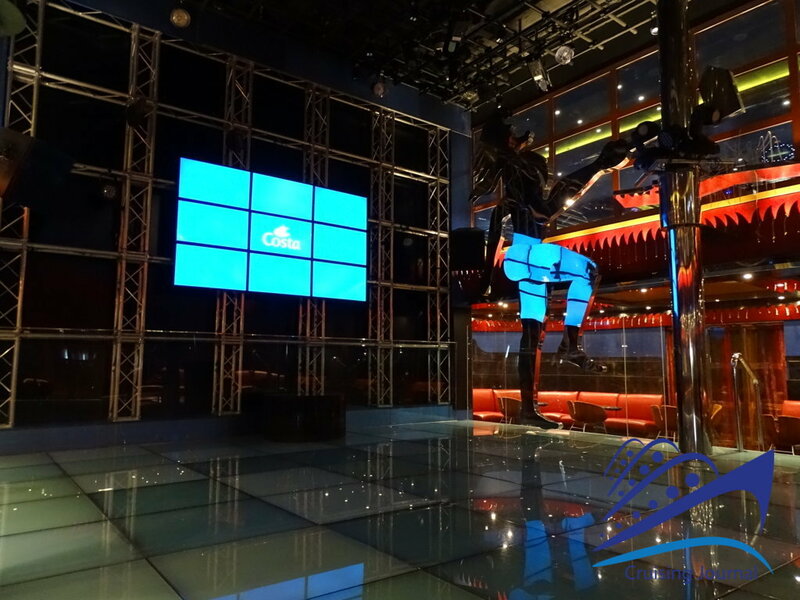 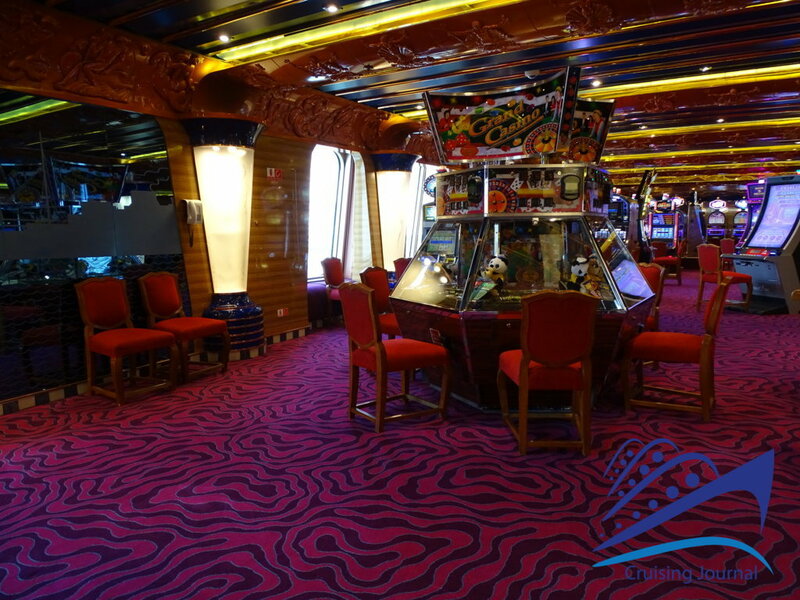 The latter is the ship’s main hall, dedicated to dancing, games and other entertainment. 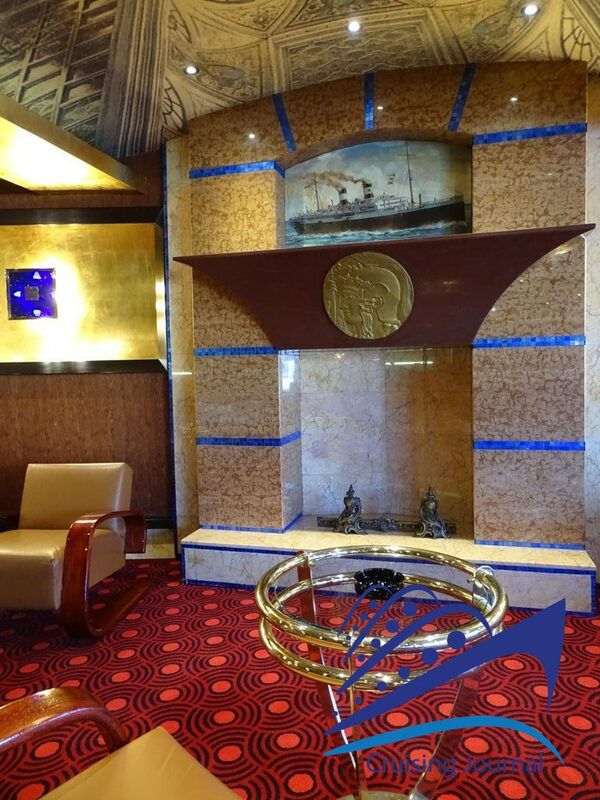 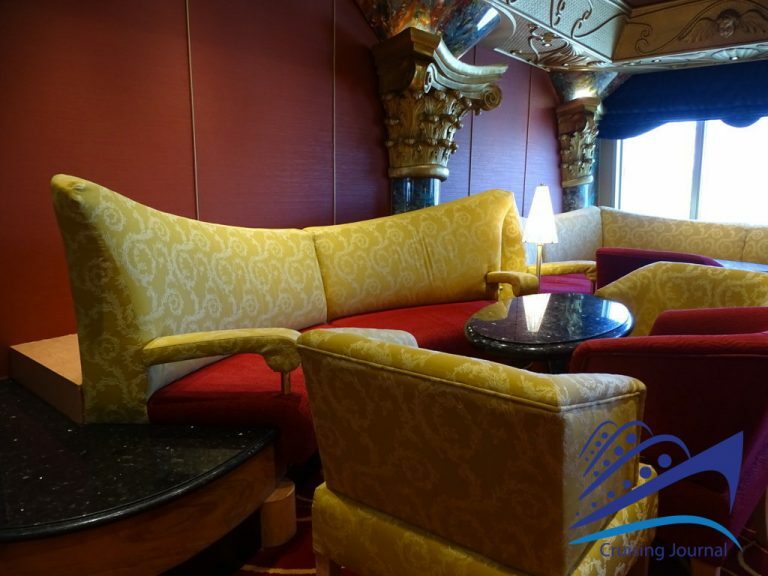 Elegantly furnished, it preserves some original objects of the transatlantic liner. 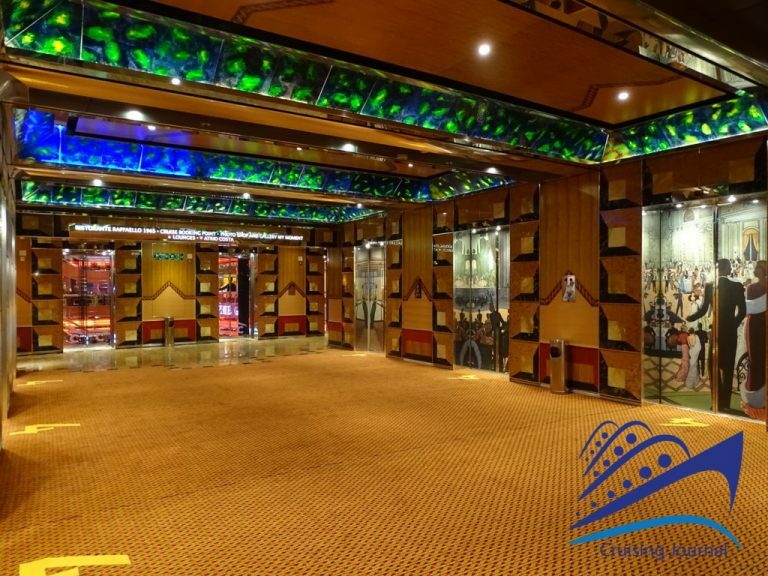 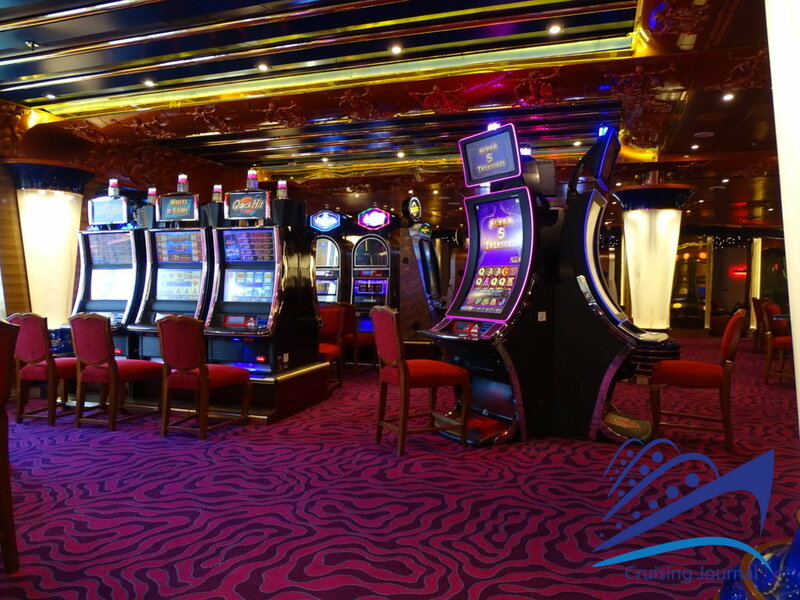 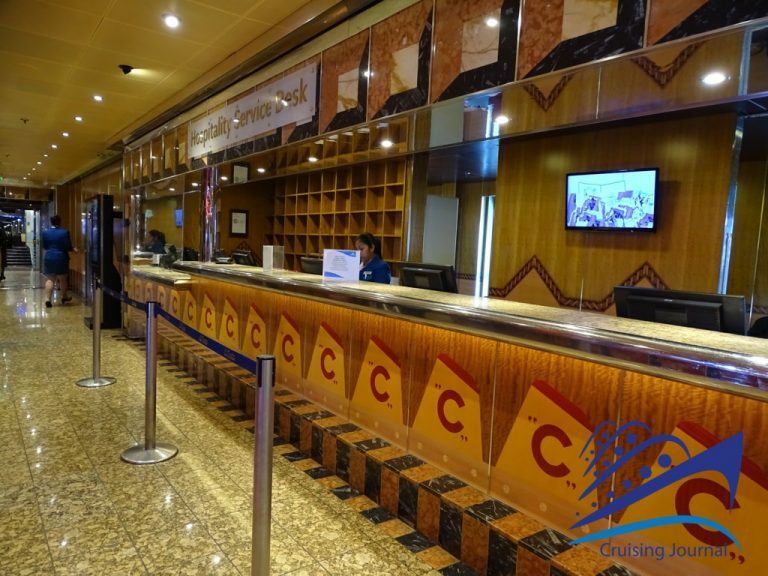 Continuing the walk on deck 5, we pass the small Kiosk dedicated to photography products and we arrive at the Neptunia 1932 Casino, which is also very elegant and spacious, with numerous slots on one side and as many tables on the other. 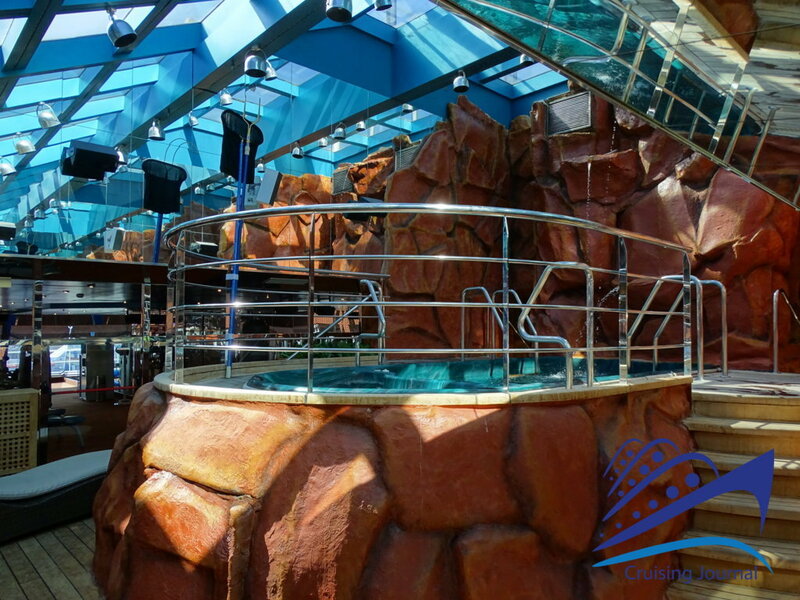 The two areas are separated by the windows of Vulcania 1927 Disco, accessible both from the same level and from the one below, on deck 4. 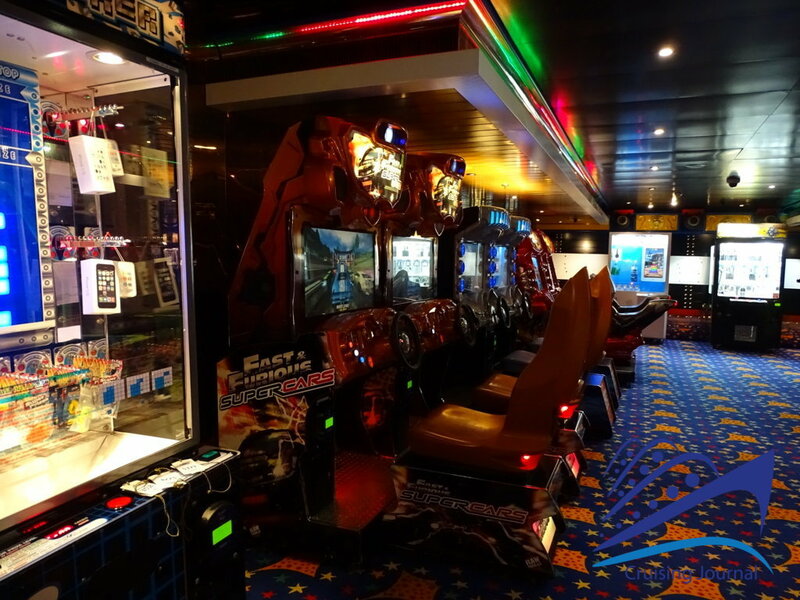 Not far away is Virtual World, a well-stocked games room for young people. At the stern, as is peculiar in this class of ships, there are three different lounges. 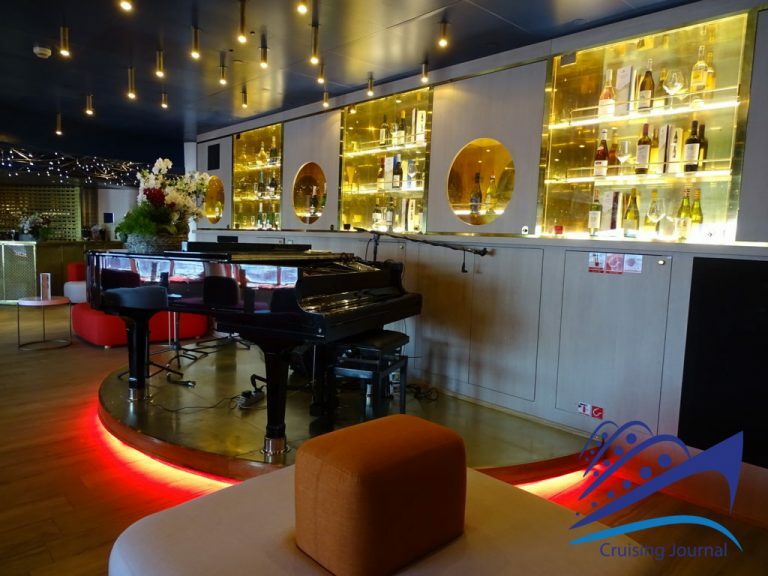 On the straight side of the ship there is the Conte Rosso 1921 Piano Bar, deeply redesigned by the recent re-structuring, dedicated to piano music, in a context of red tones and lighting intended to simulate a great starry sky. 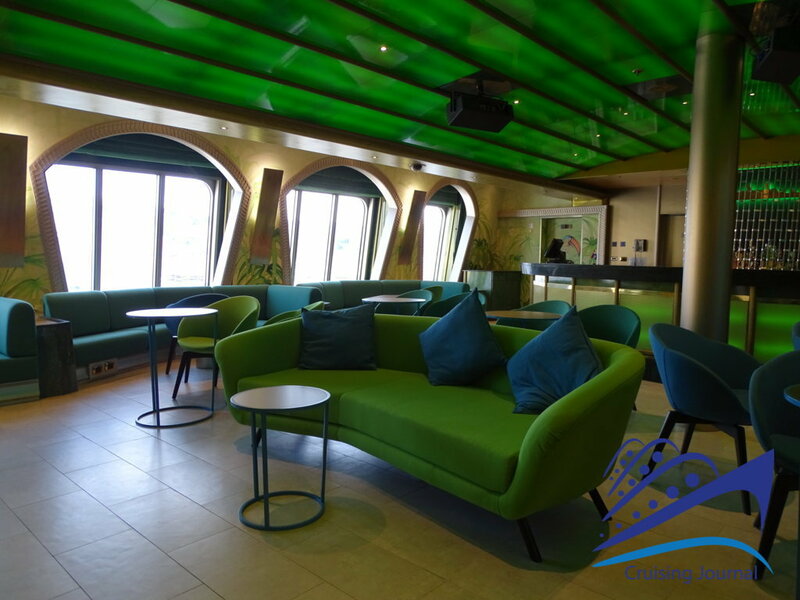 On the opposite side, the Conte Verde 1923 Ballroom is the hall dedicated to dance music and karaoke, inspired by the colour green, which dominates the furnishings and decorations. Finally, the large Leonardo Da Vinci 1960 Lounge closes at the stern, and is used for a variety of activities and evening entertainment. 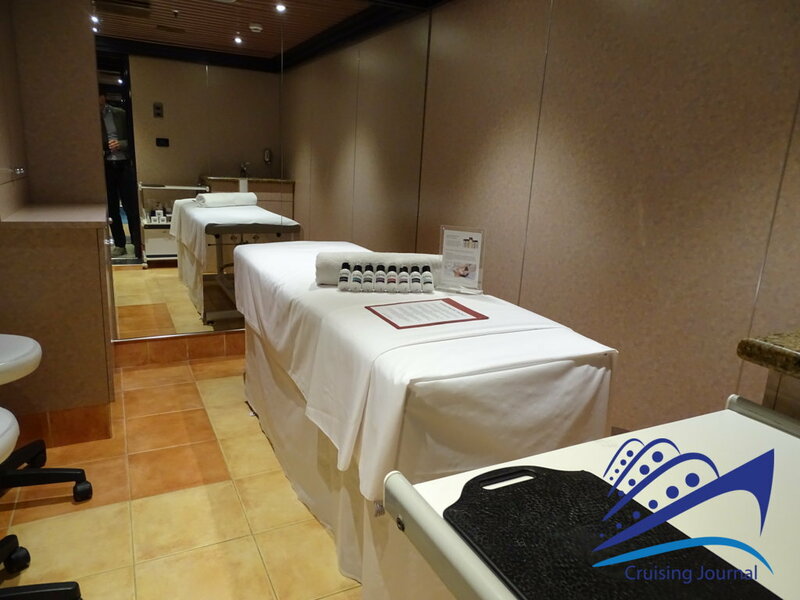 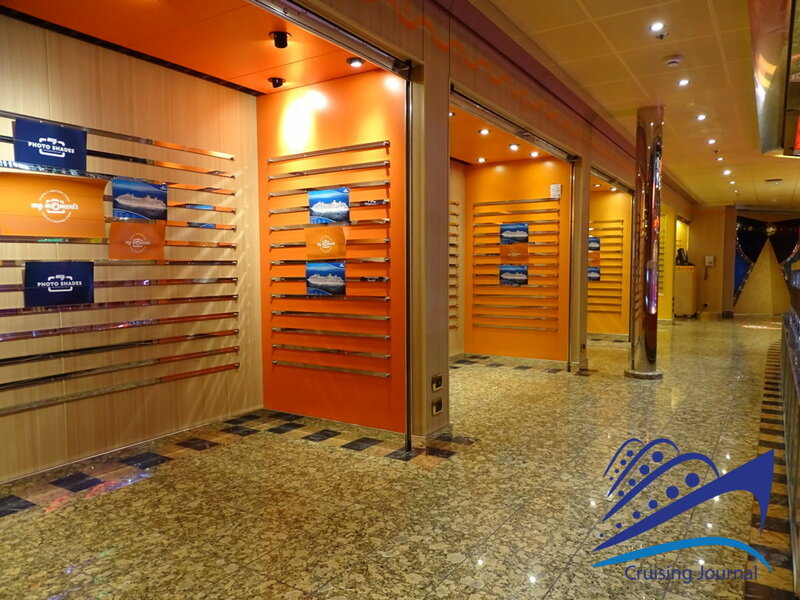 Other rooms dedicated to passengers are also located on deck 9 Napoli. 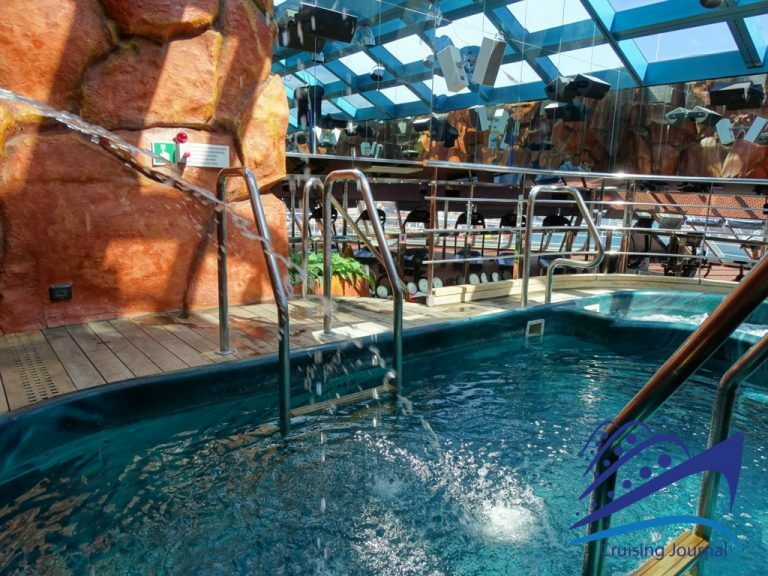 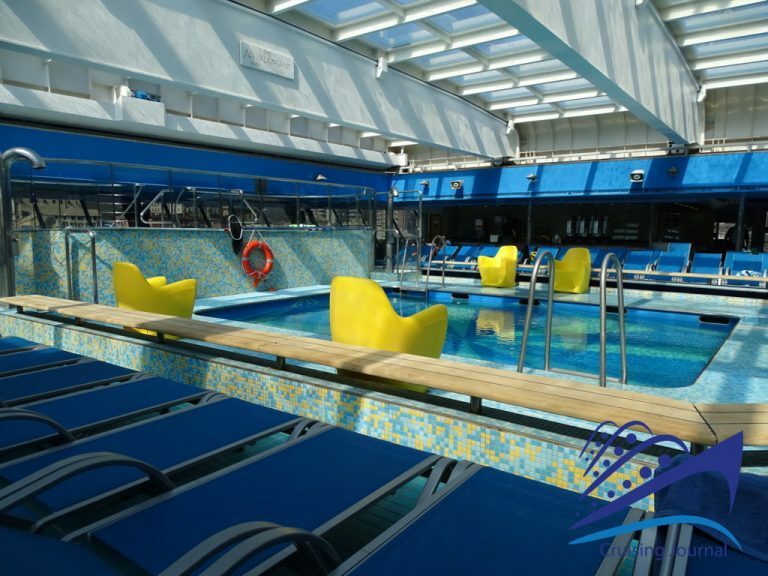 At the centre of the ship is the main swimming pool, Oceania 1932 Pool, with two Jacuzzis, a space dedicated to entertainment, a large bar and a grill. From here, towards the bow, the traditional arrangement of amphitheatre beds extends to the upper deck in a series of “terraces”. 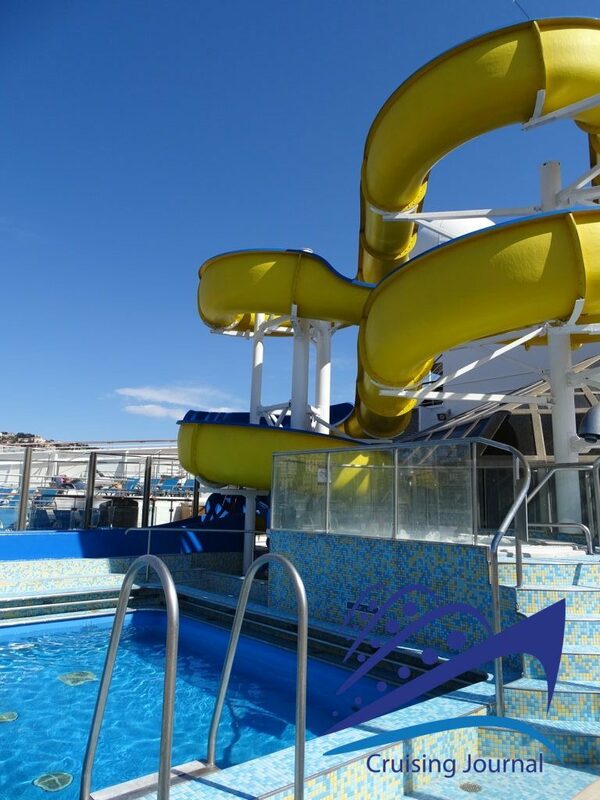 A second swimming pool, dedicated to children, is located just above the last level of sun beds, the Barcelona Pool, in whose area also ends the exciting slide. 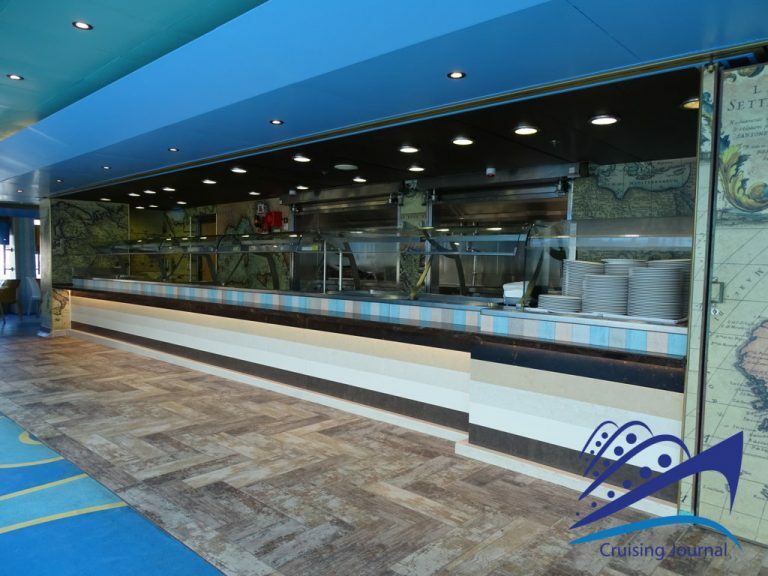 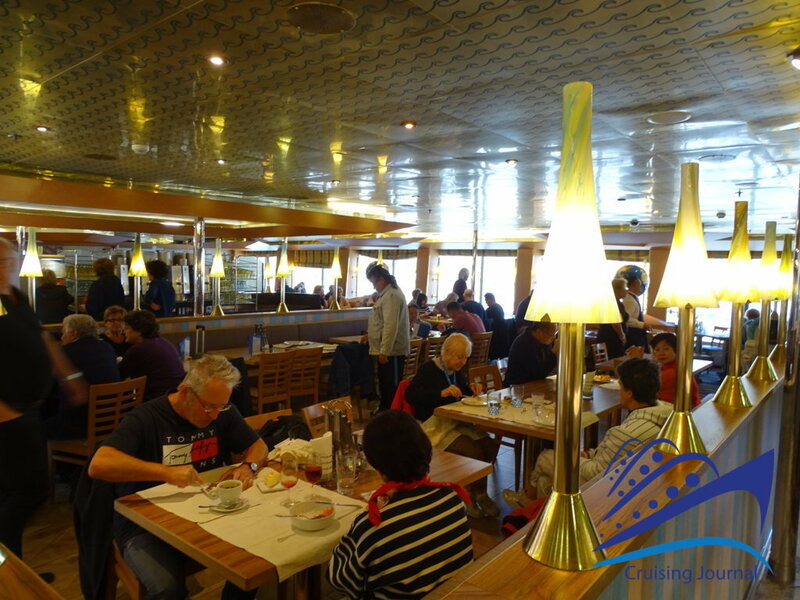 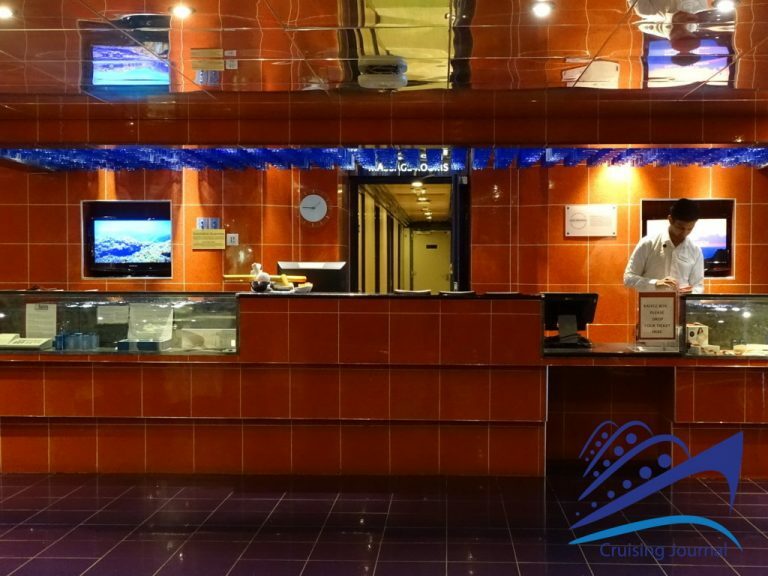 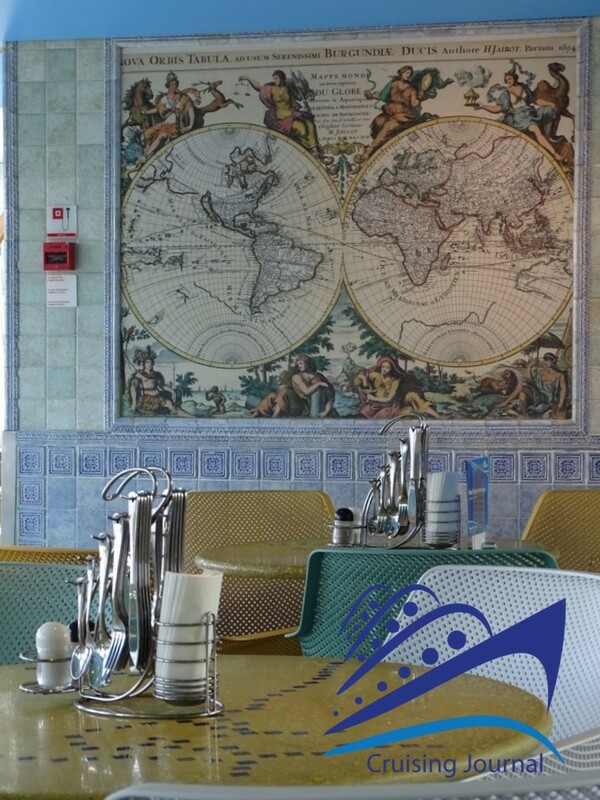 Towards the stern, from the Lido area, you enter the Cristoforo Colombo 1954 Buffet Restaurant, very large and equipped with many different stations. 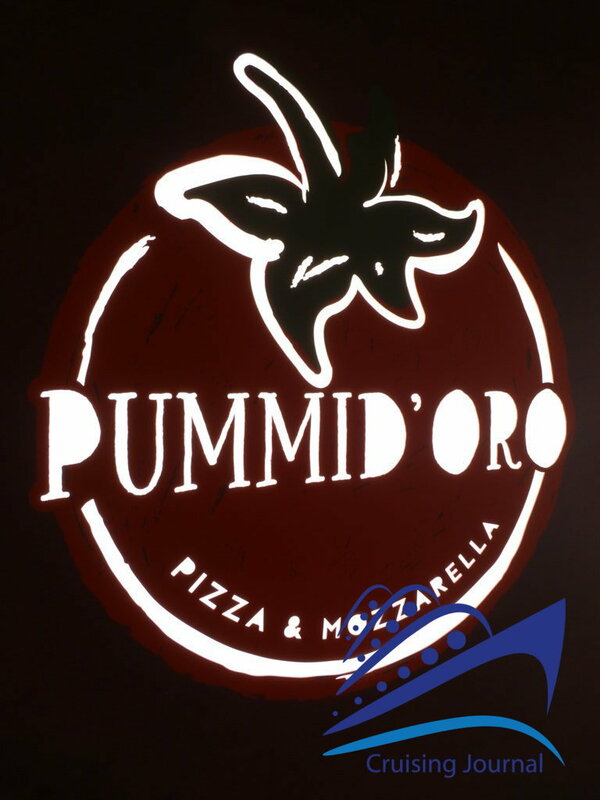 In the middle a staircase leads to the Pummid’oro Pizza & Mozzarella, a new place dedicated to the world of pizza. 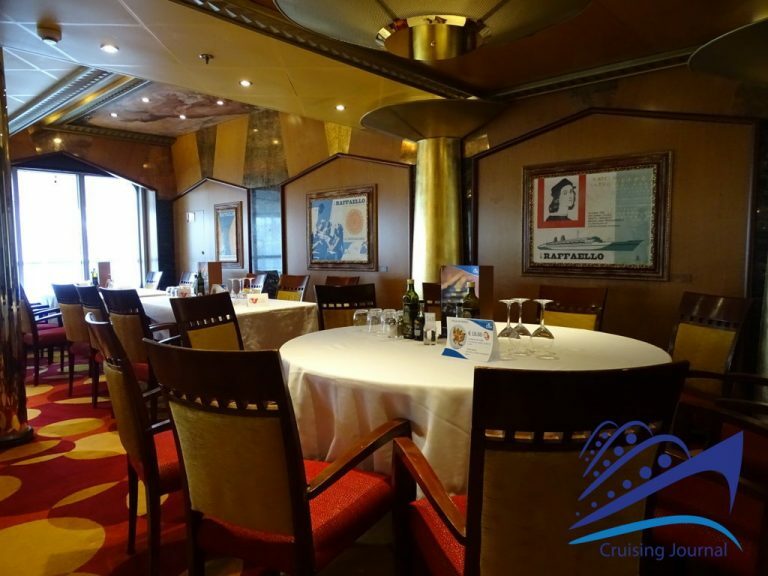 Further up, on the upper deck, is the Conte Grande 1927 Club Restaurant, mainly dedicated to Suites and some categories of the loyalty club. 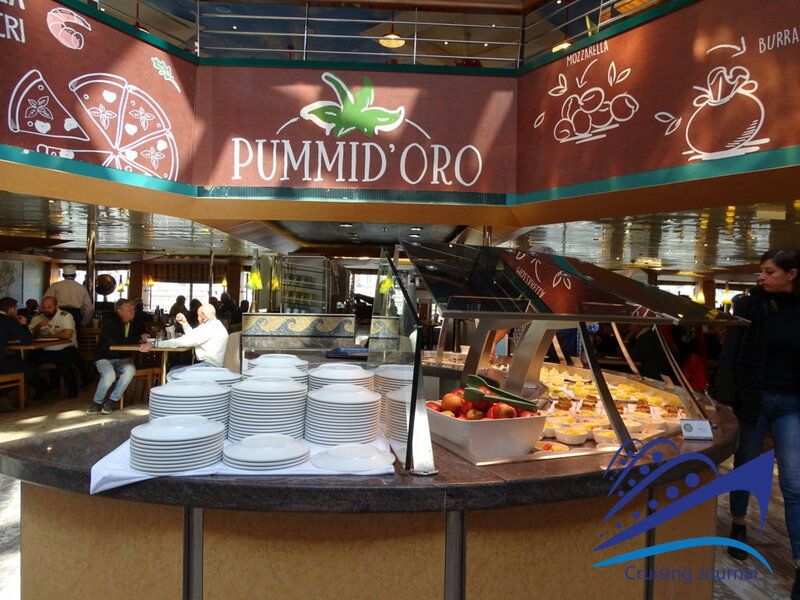 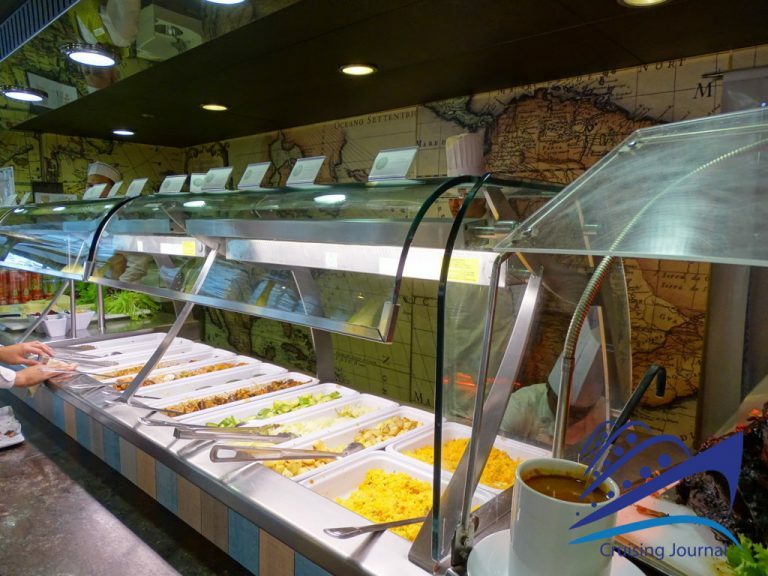 On the stern of deck 9, there is a self-propelled buffet on the Lido. Here there is a third swimming pool, with a buffet corner and a bar, as well as tables for lunch and sun beds to relax. 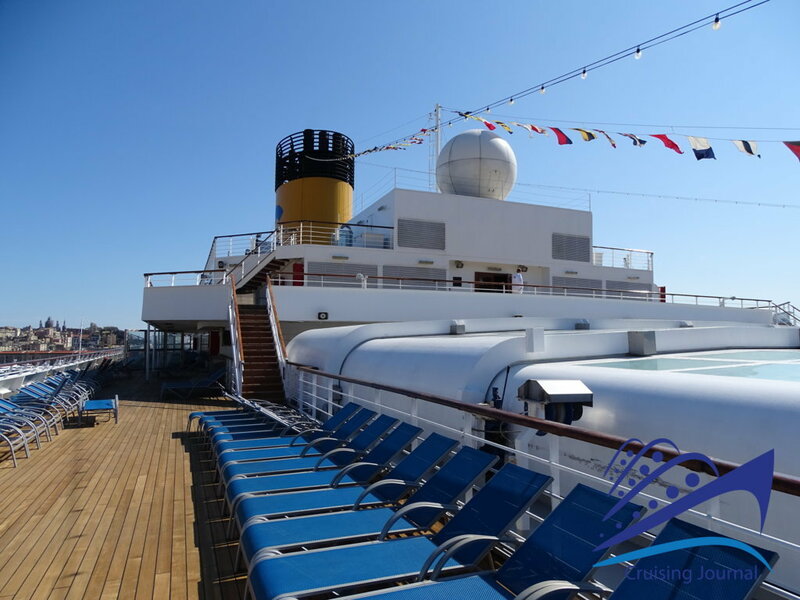 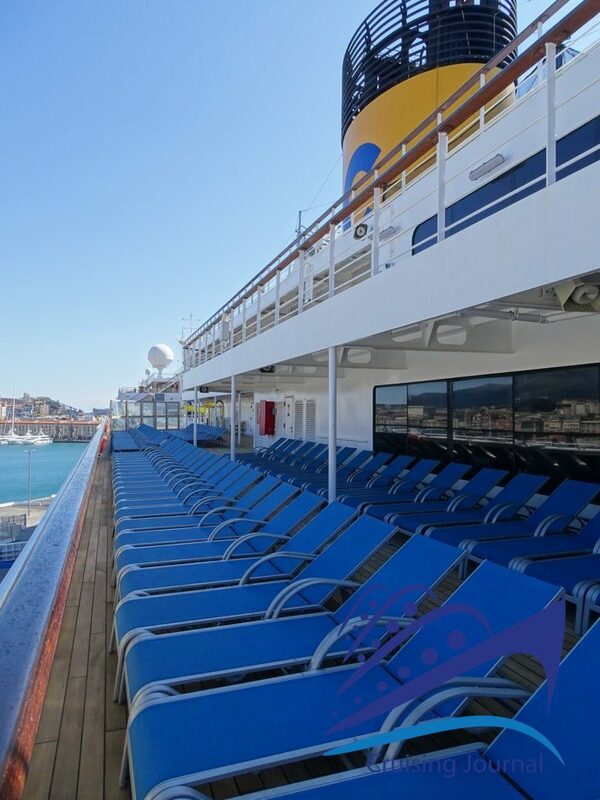 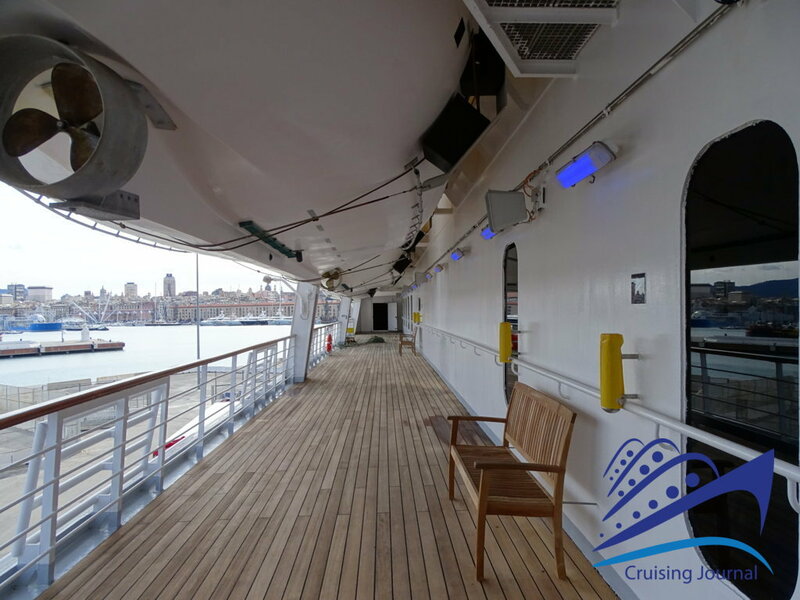 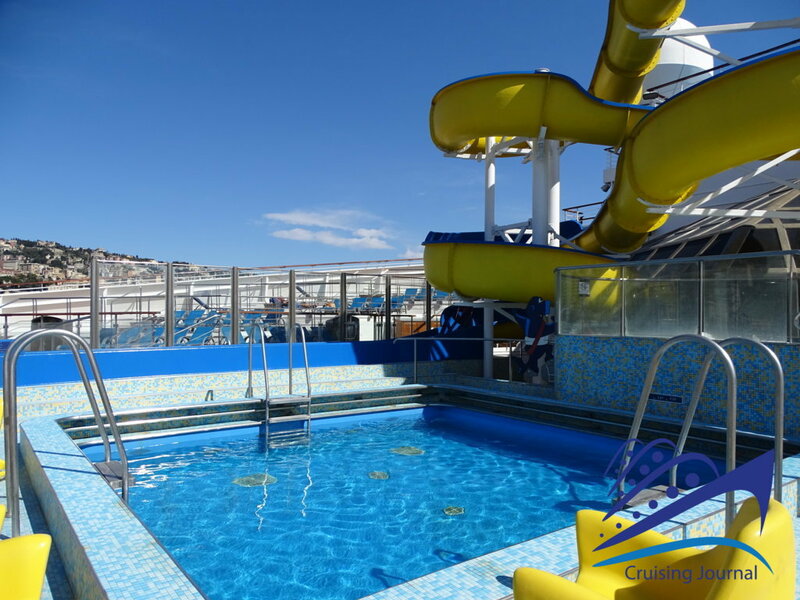 Other areas for sunbathing or resting can be found on the external decks 10, 11 and 12. 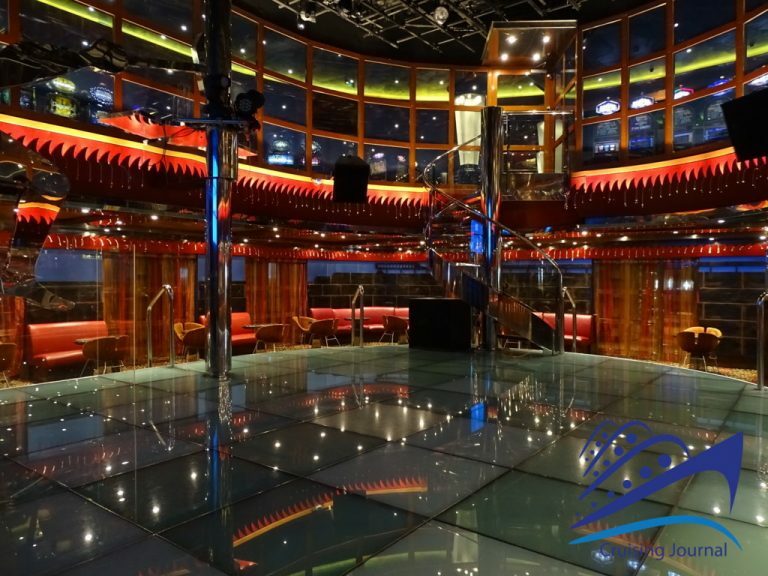 The Solarium Bar, on deck 12 in the middle of the ship, offers the possibility of refreshing oneself with a cocktail or a drink. 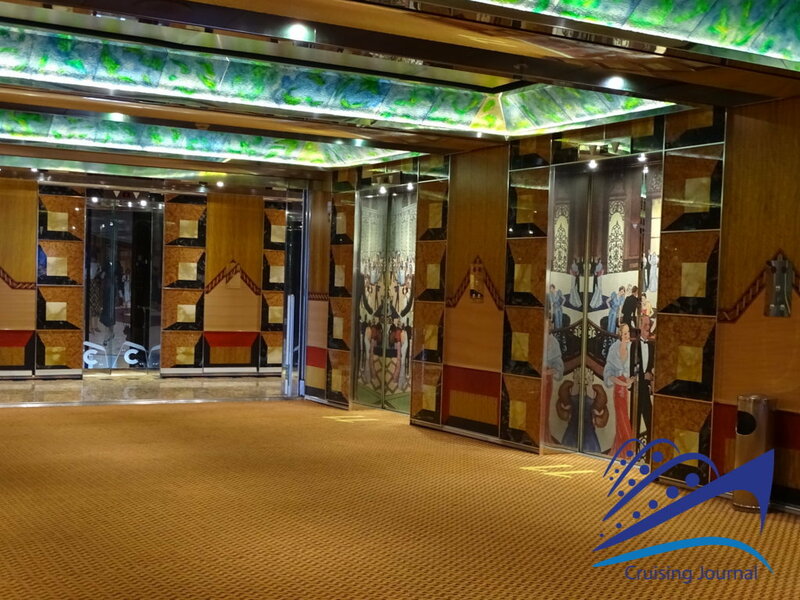 Next to it are the Saturnia 1927 Meeting Room and the Squok Club. 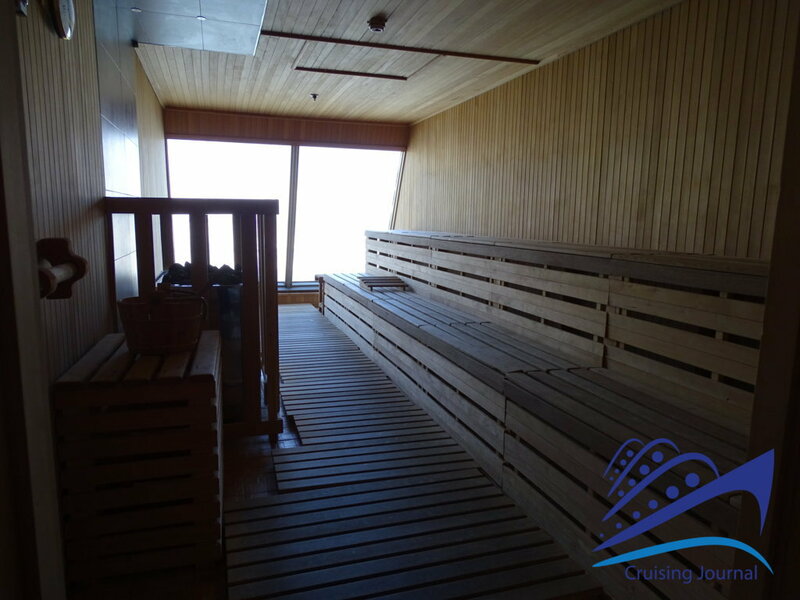 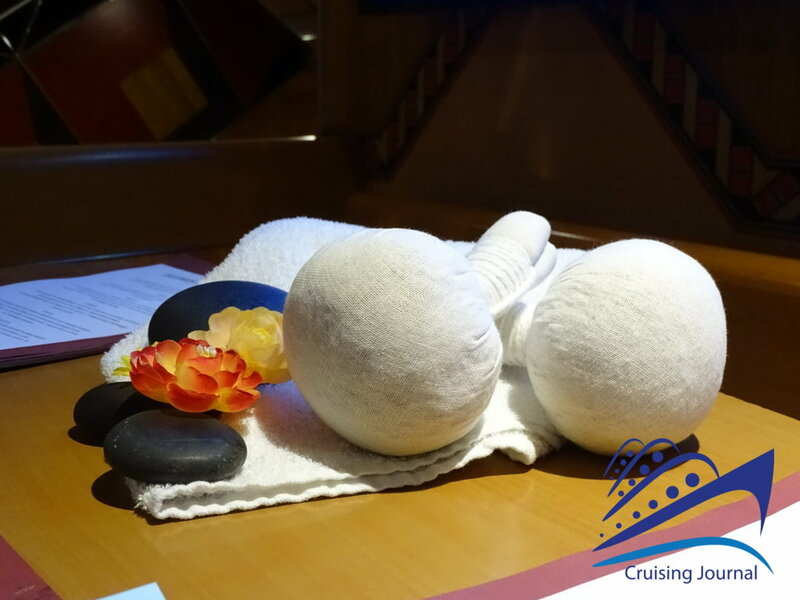 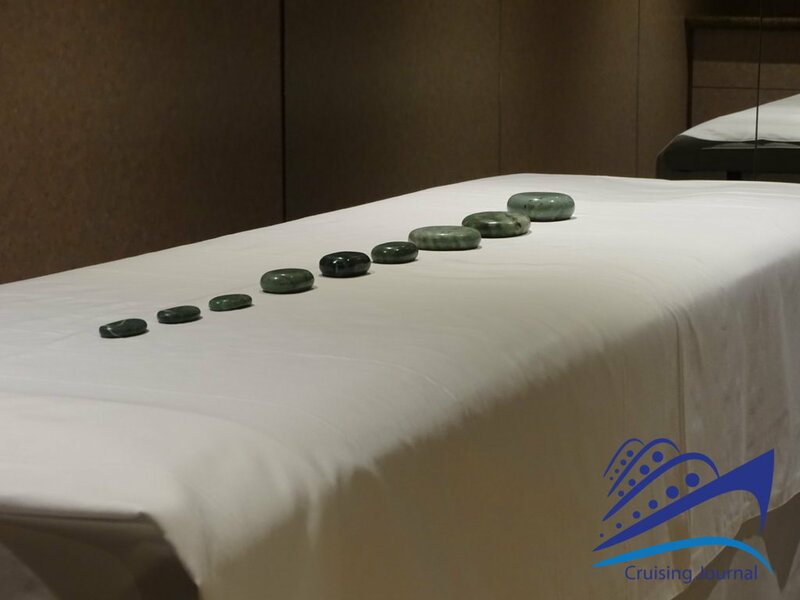 Wellness lovers will find themselves at ease at the Saturnia 1927 Spa, equipped with numerous treatment rooms, a Beauty Salon, sauna and Turkish bath, and a Jacuzzi inside the large gym overlooking the bow of the ship. On deck 11 Cannes there is also a Jogging Track, a route for lovers of outdoor running. 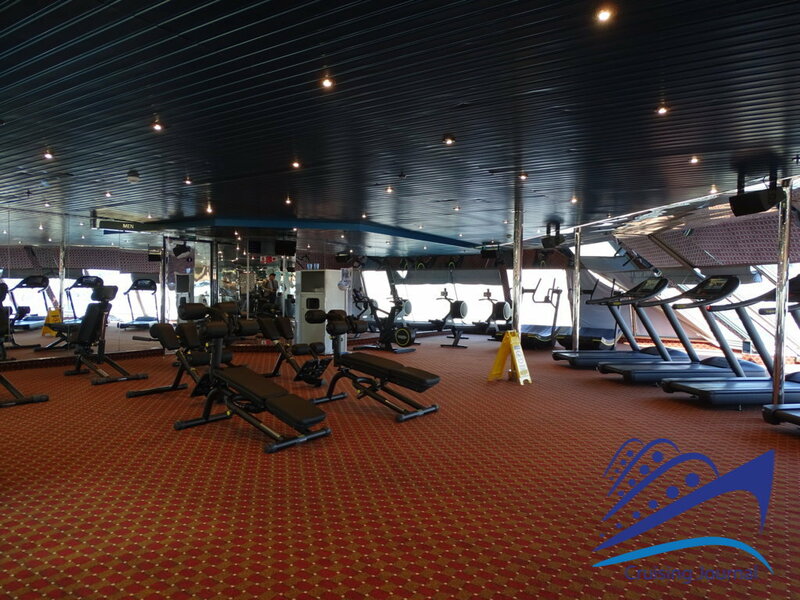 The Sports Court, a multi-sports field, is located on deck 12 Funchal and is suitable for various activities and numerous sports tournaments organised by the on-board entertainment team. 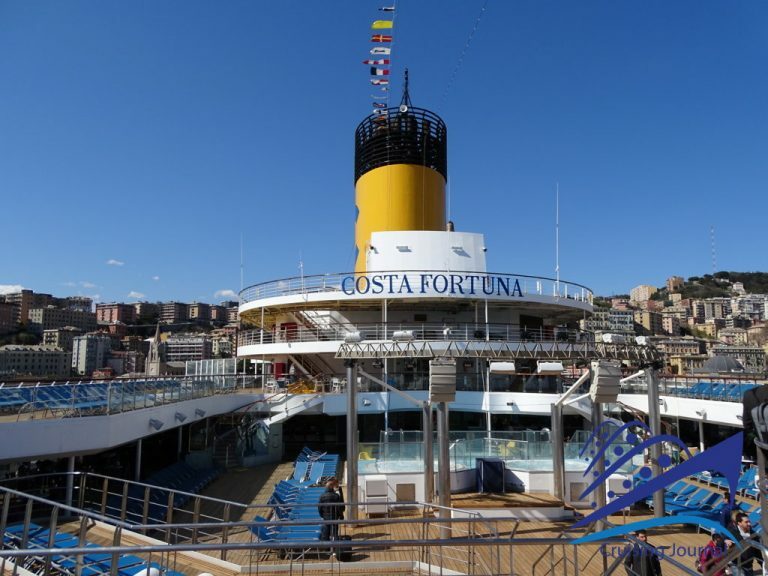 Costa Fortuna is a ship that, despite the restyling and adaptations that have taken place over time, retains the initial charm of the elegance of the rooms and the excitement of being immersed in an era now far from us. 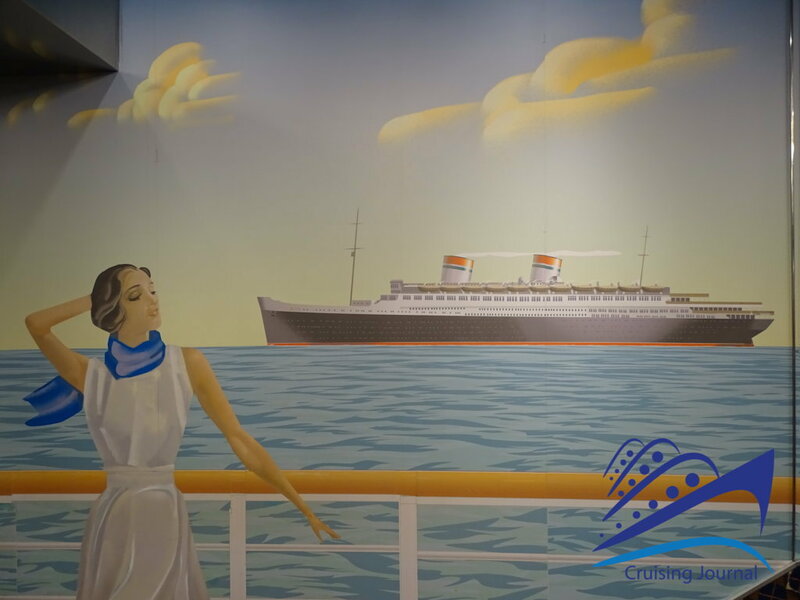 Some models of ships, first of all those on the Costa Atrium and the huge “Rex” at the entrance to the theatre, has been removed in spite of the many lovers of those legendary transatlantic liners. The current atrium is very different from the original and it is perhaps the environment that has undergone the most significant changes. 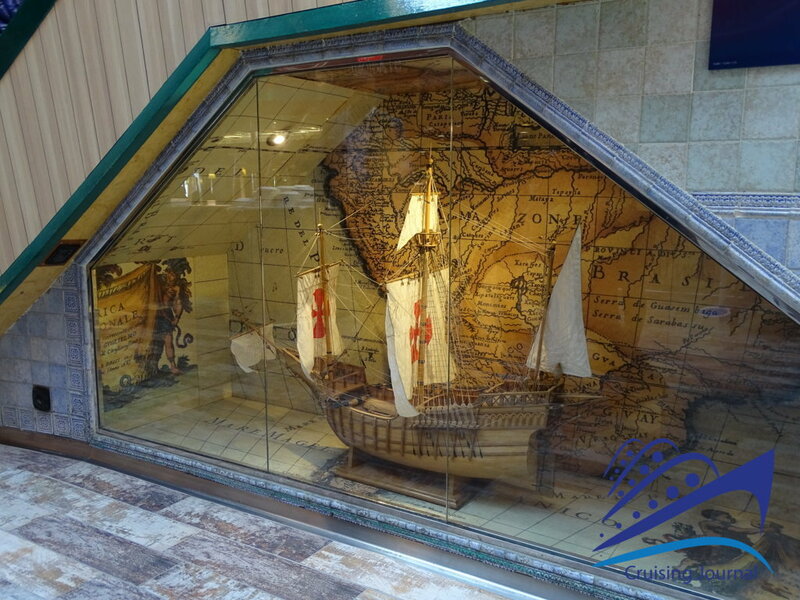 Nevertheless, on the whole, the ship has a current style, without excesses, and, considering the general trend of our years, perhaps more in tune with the times. 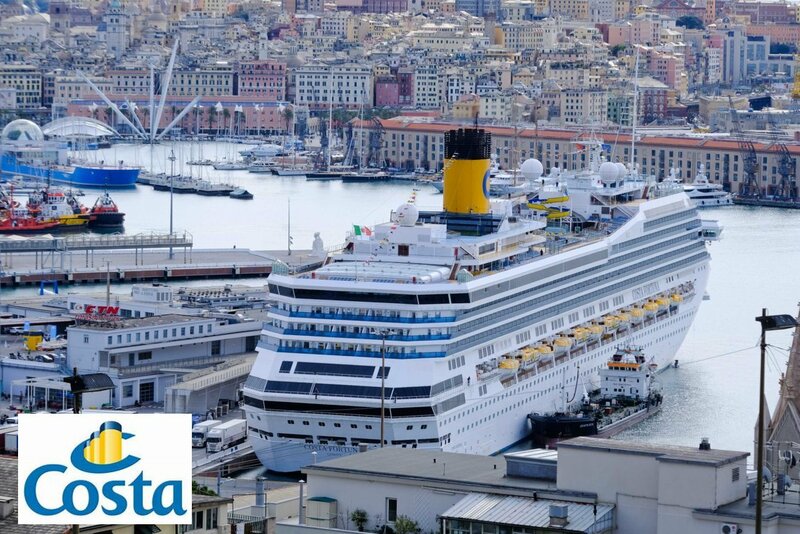 The size and services offered by Costa Fortuna represent a great opportunity to enjoy a summer cruise in the Mediterranean, such as those proposed for this 2019 season by Costa Cruises.